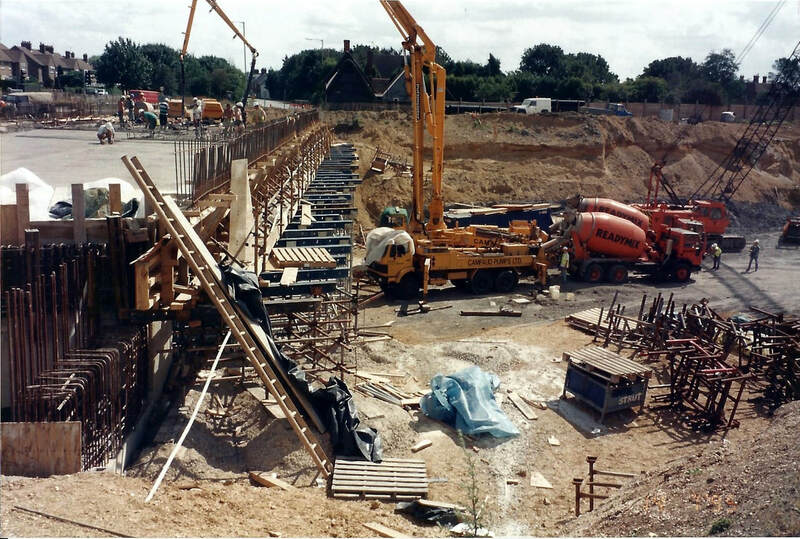 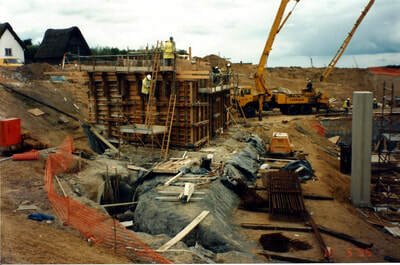 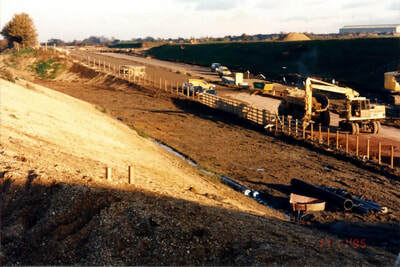 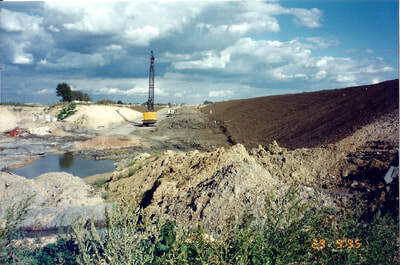 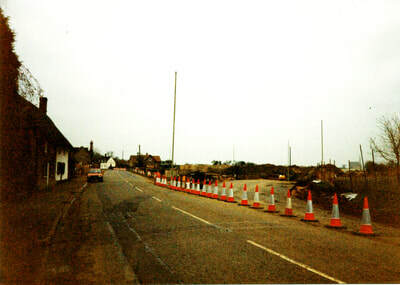 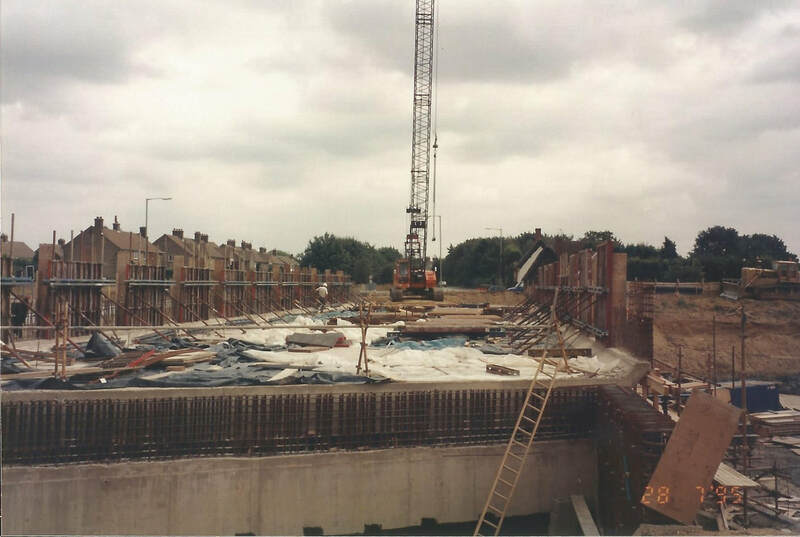 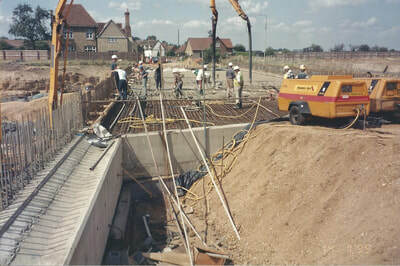 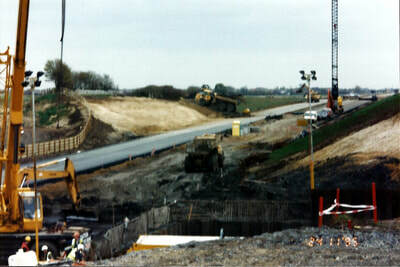 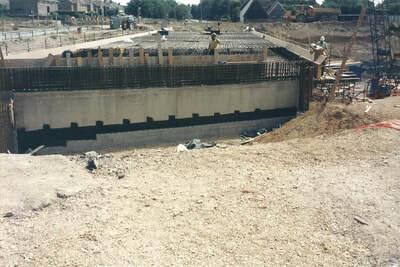 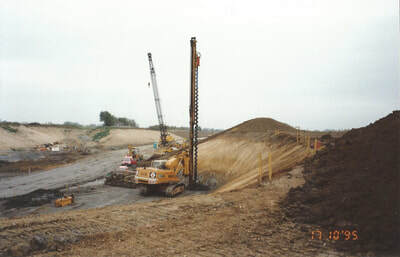 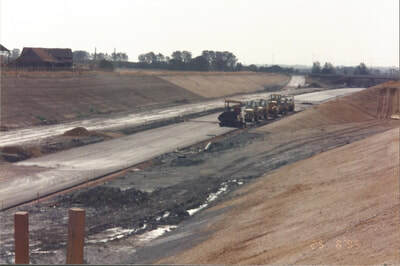 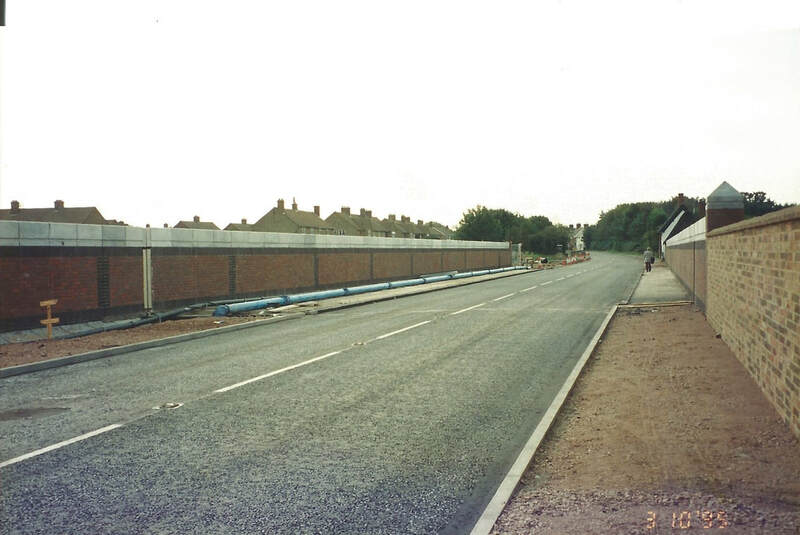 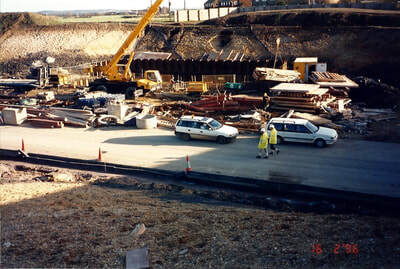 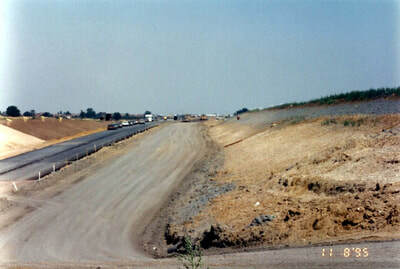 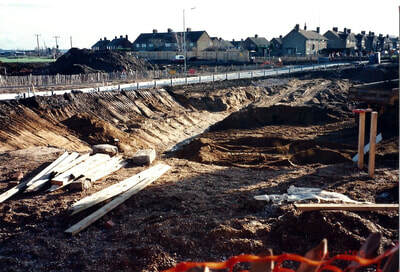 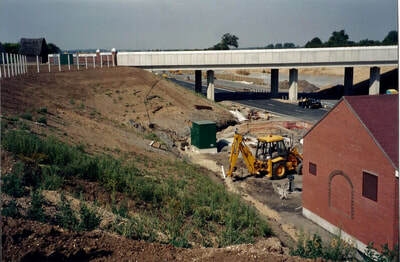 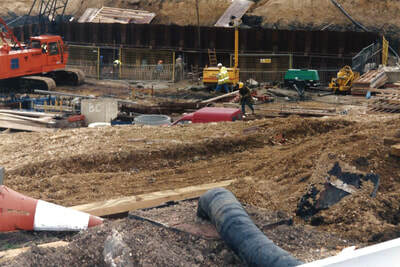 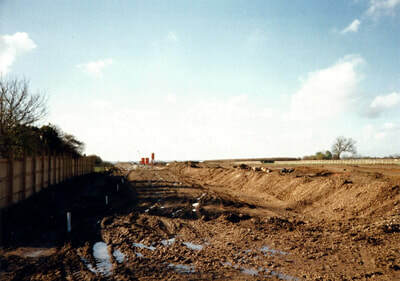 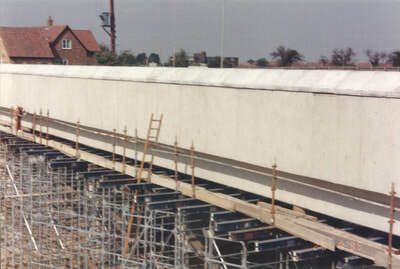 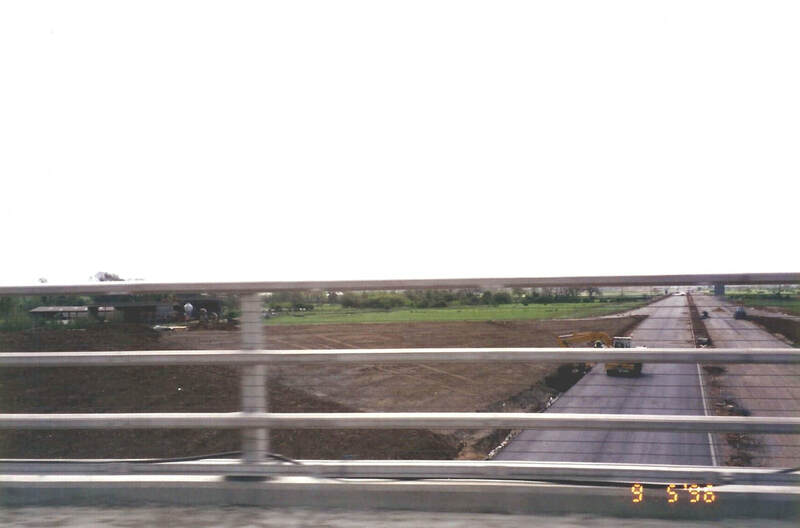 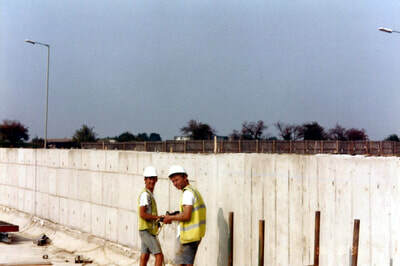 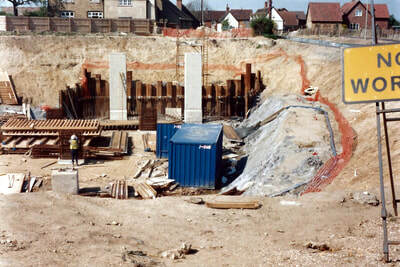 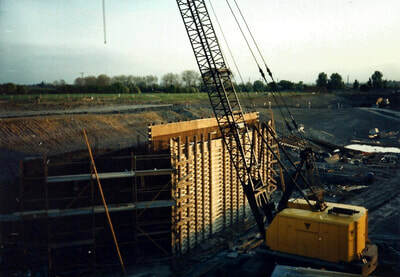 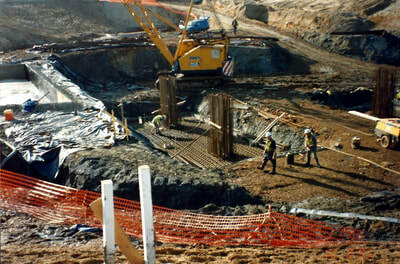 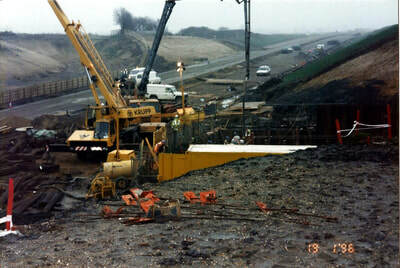 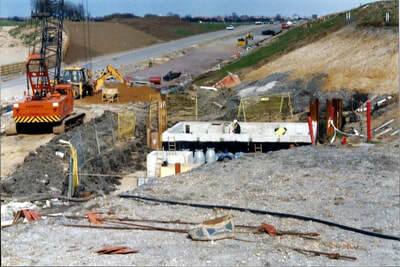 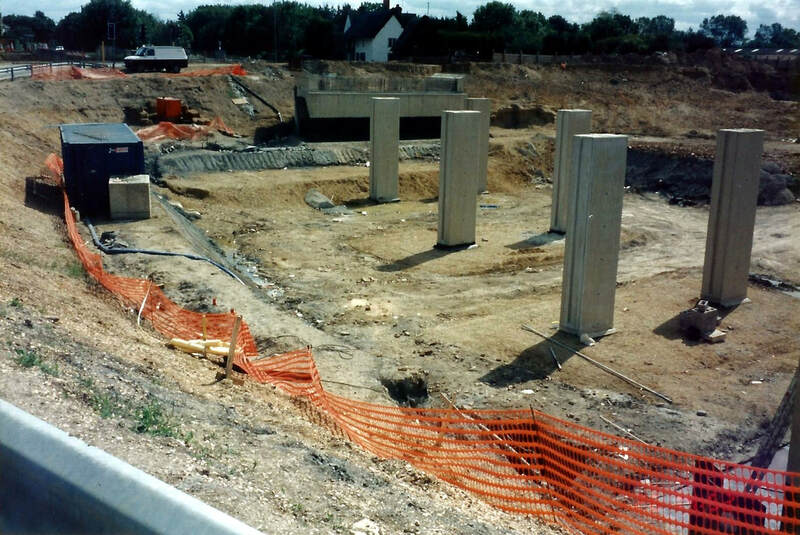 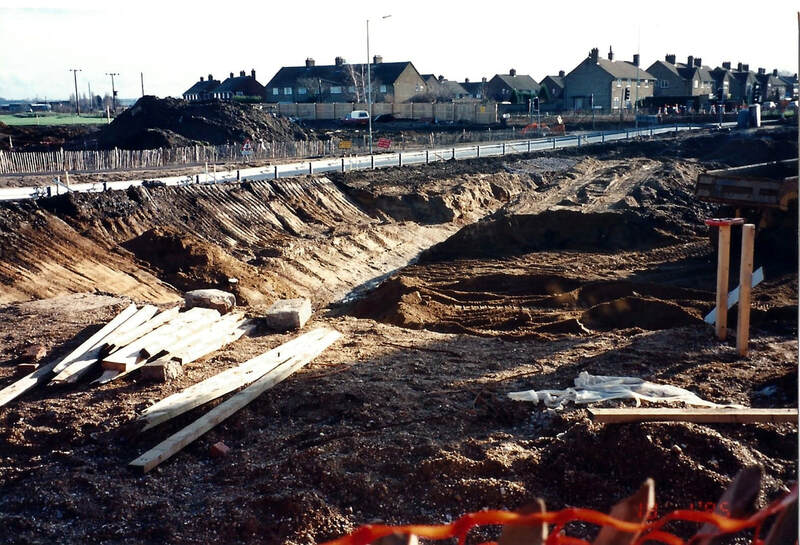 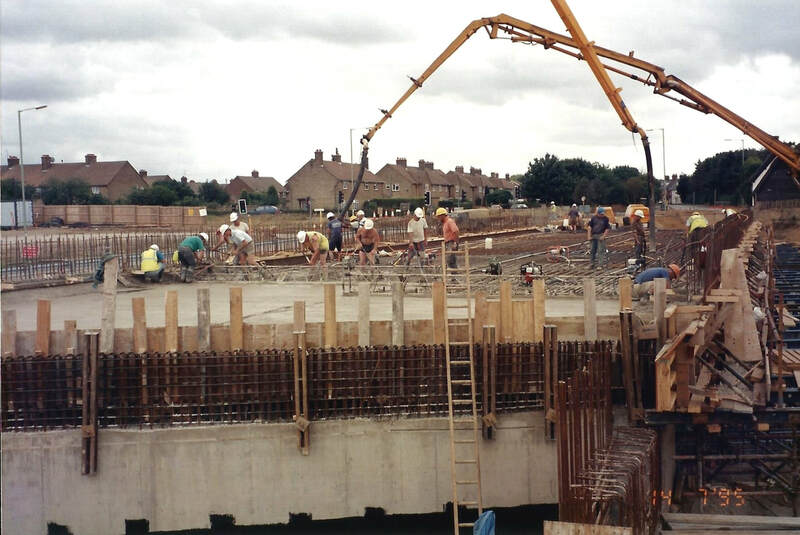 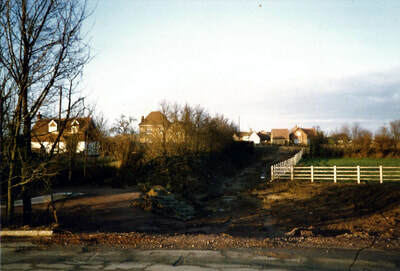 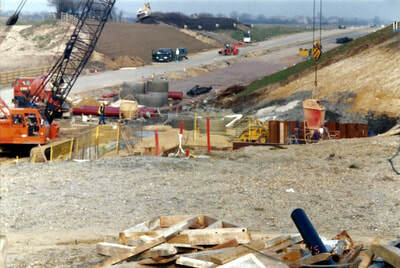 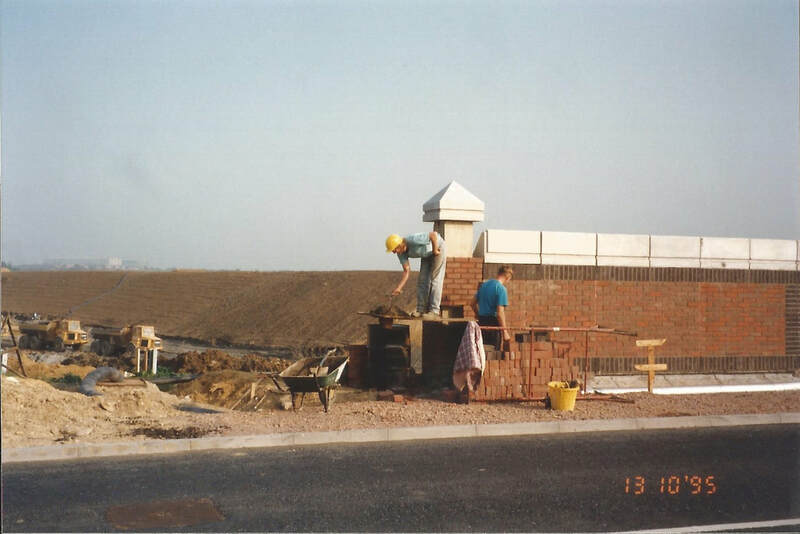 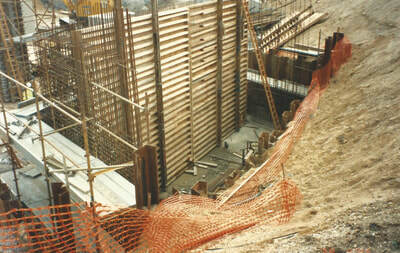 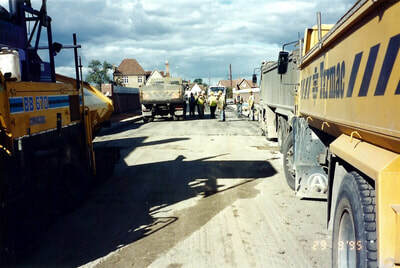 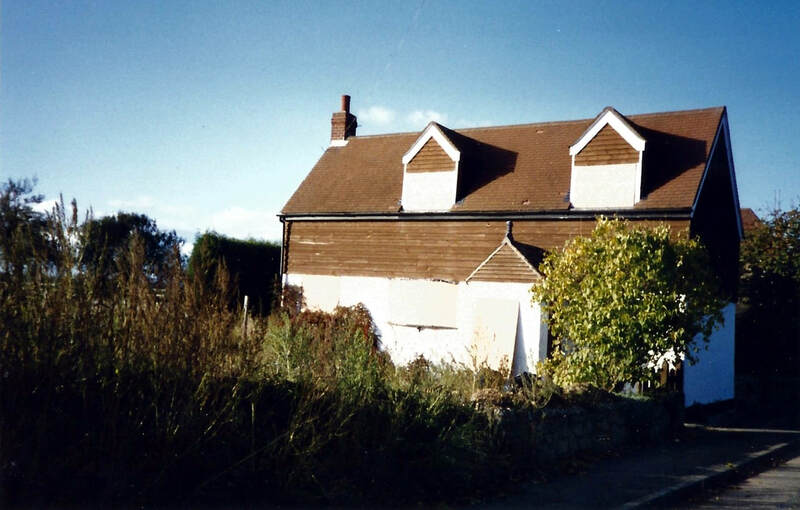 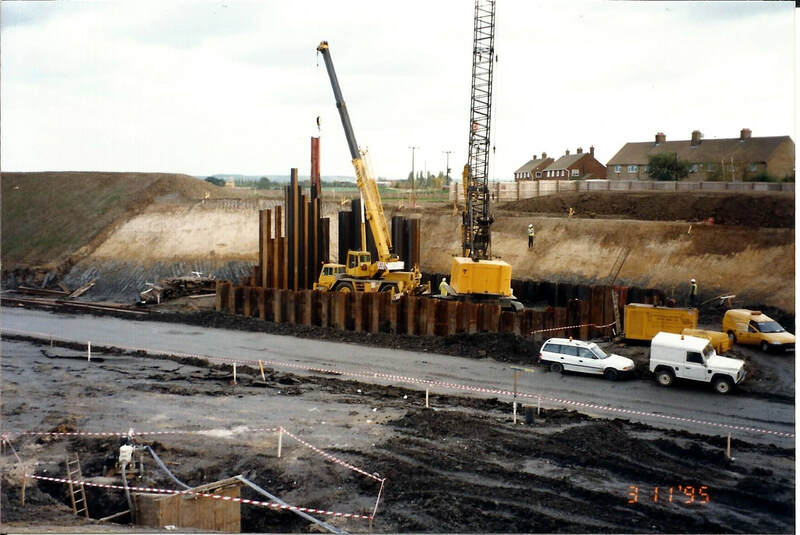 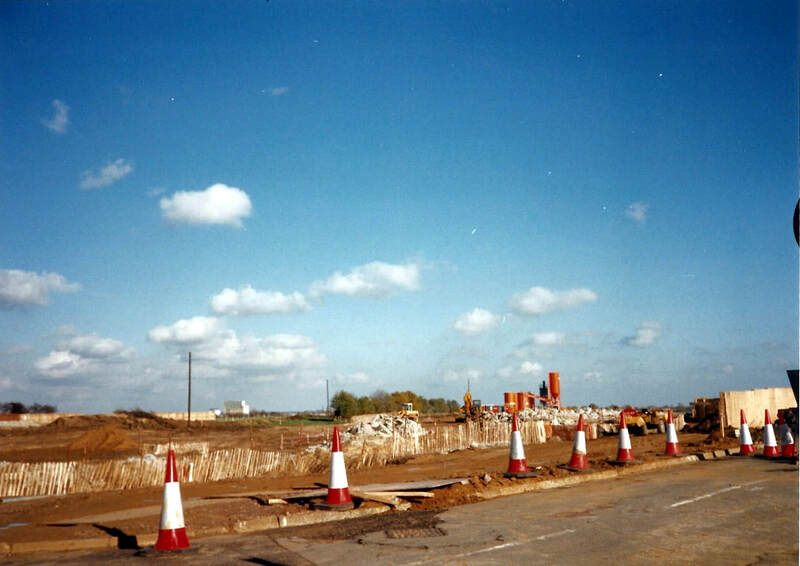 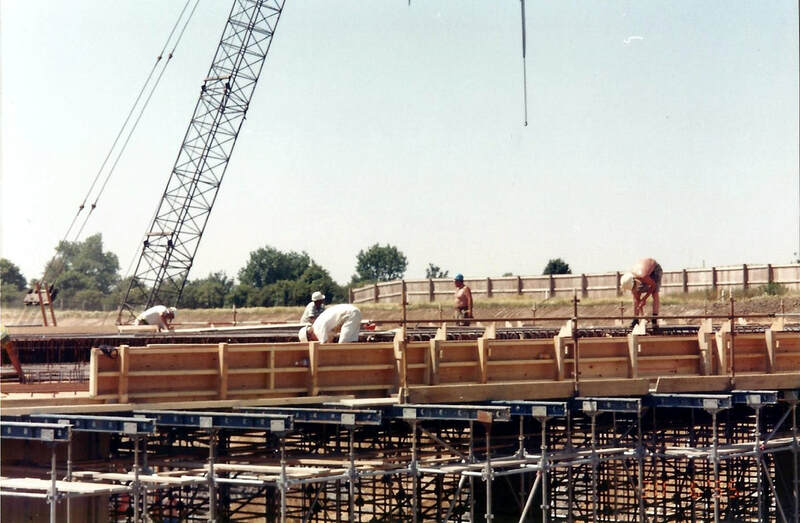 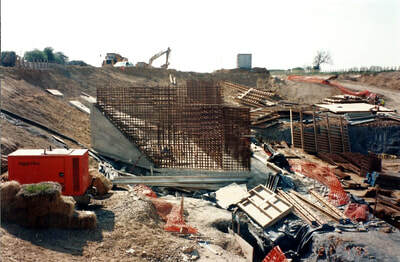 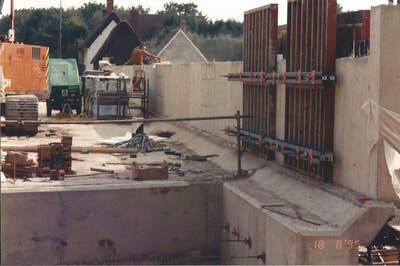 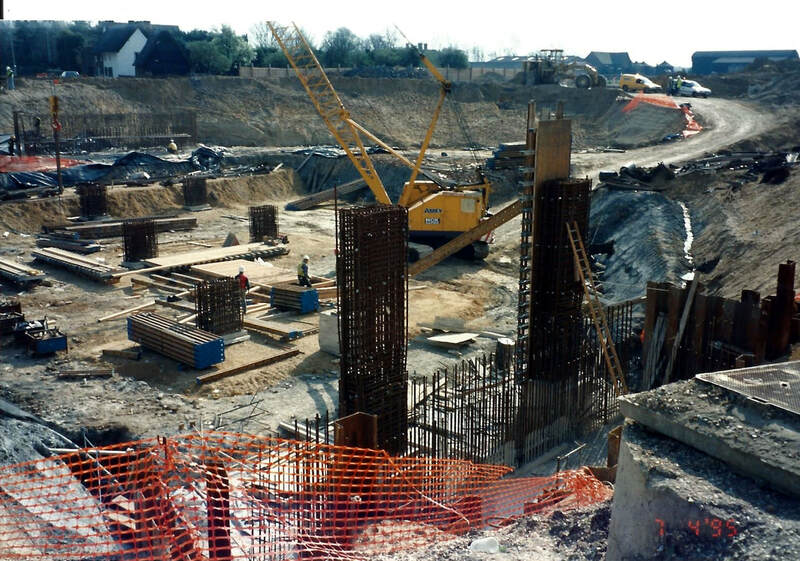 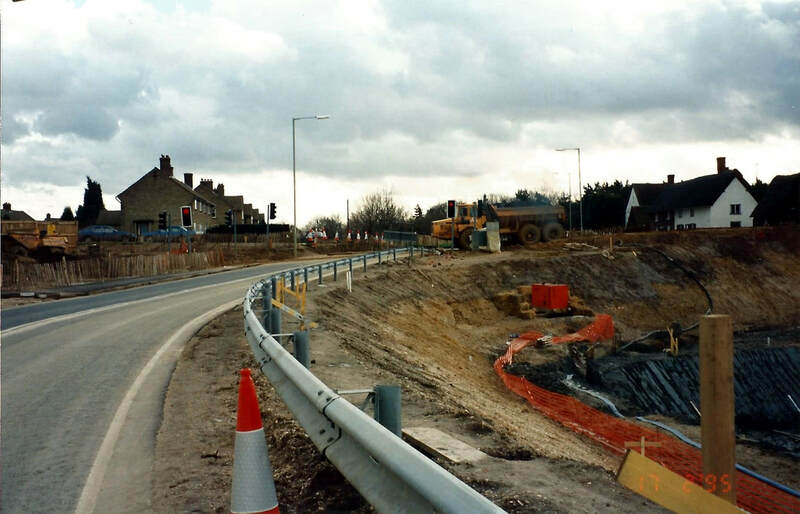 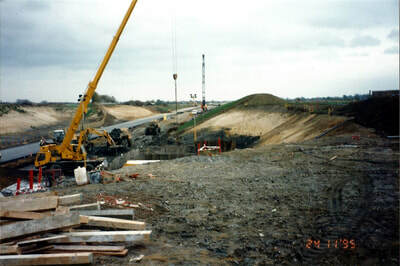 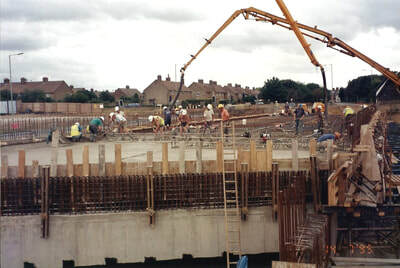 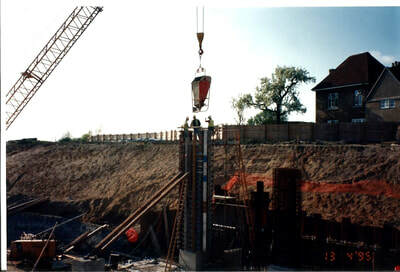 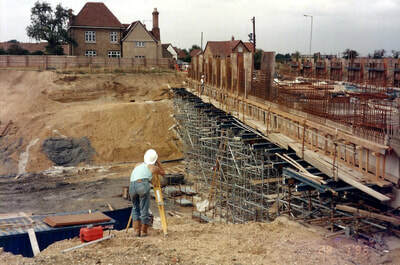 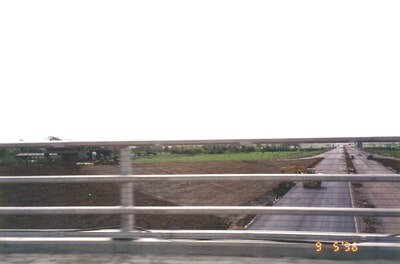 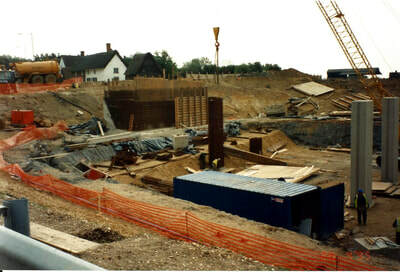 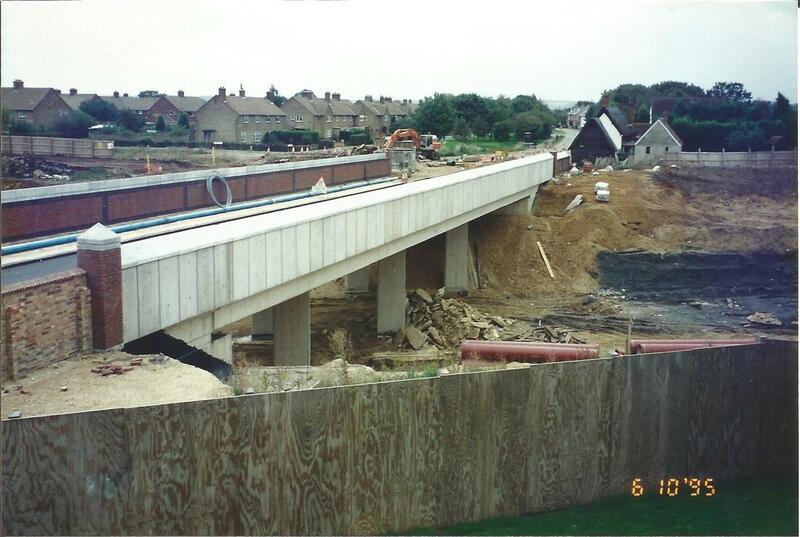 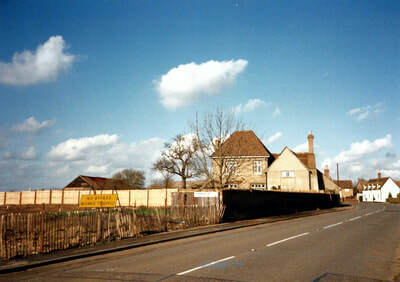 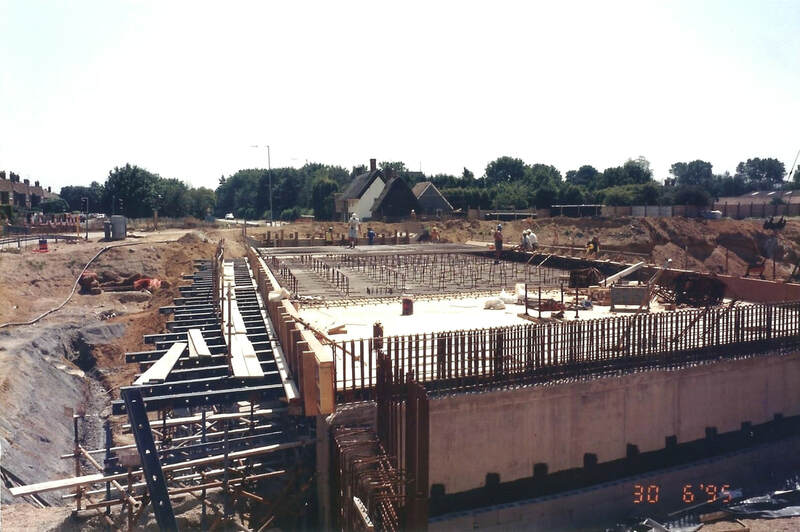 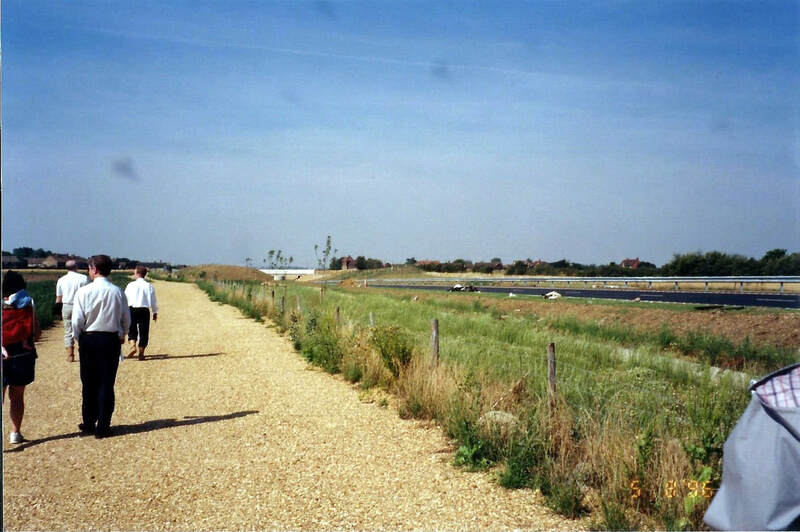 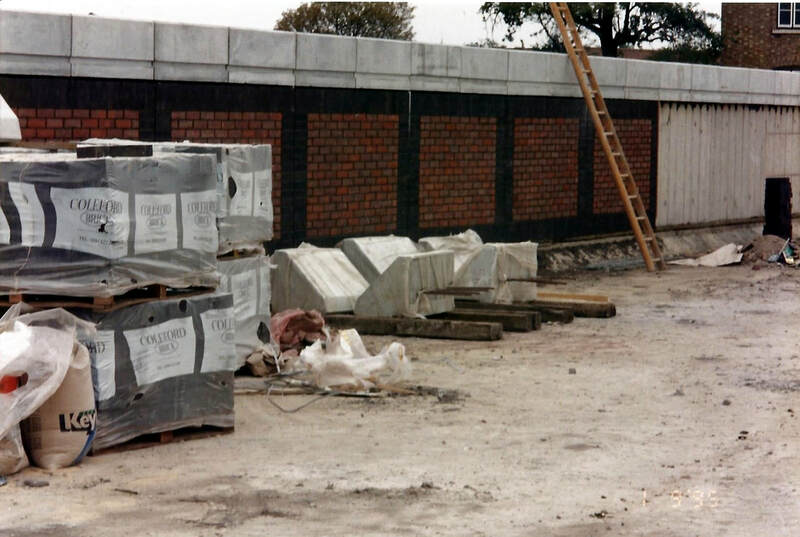 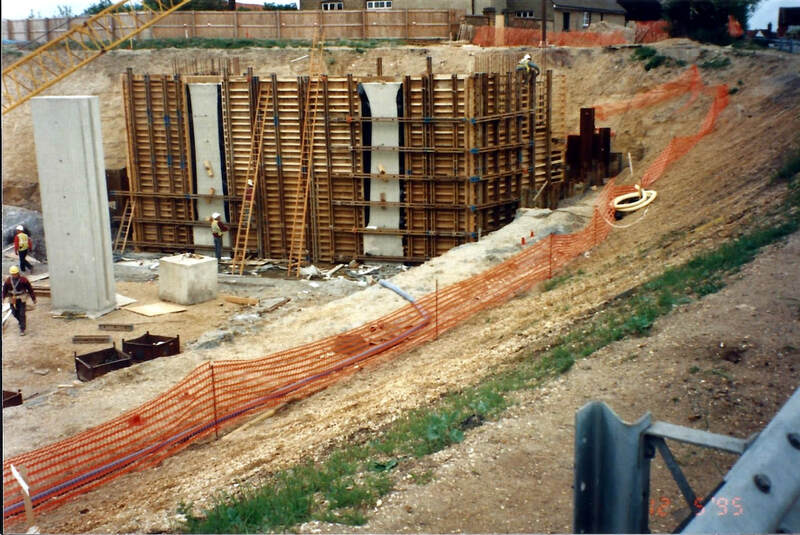 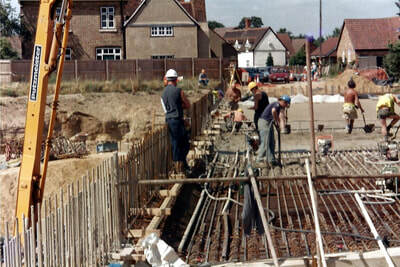 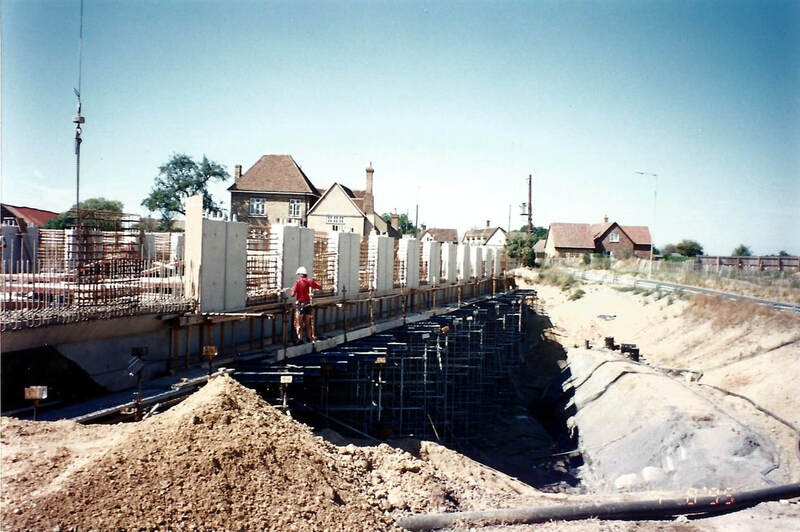 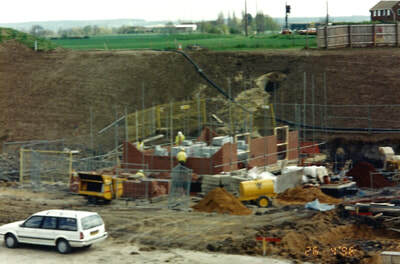 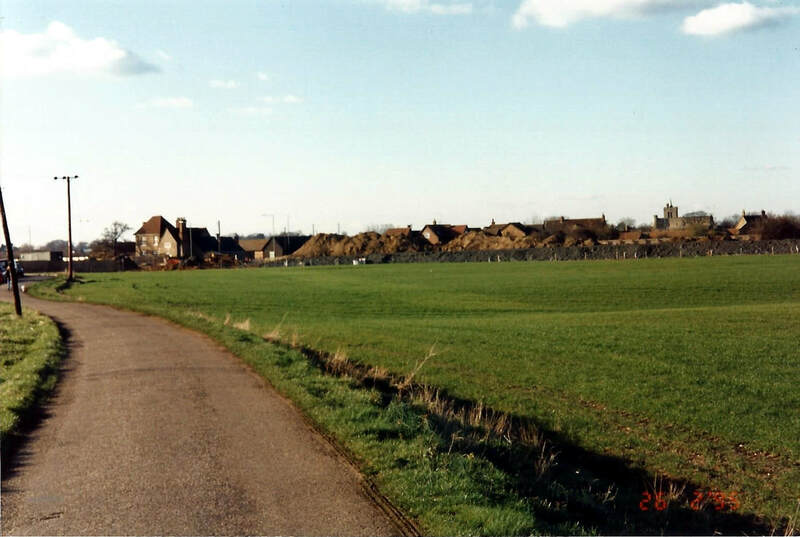 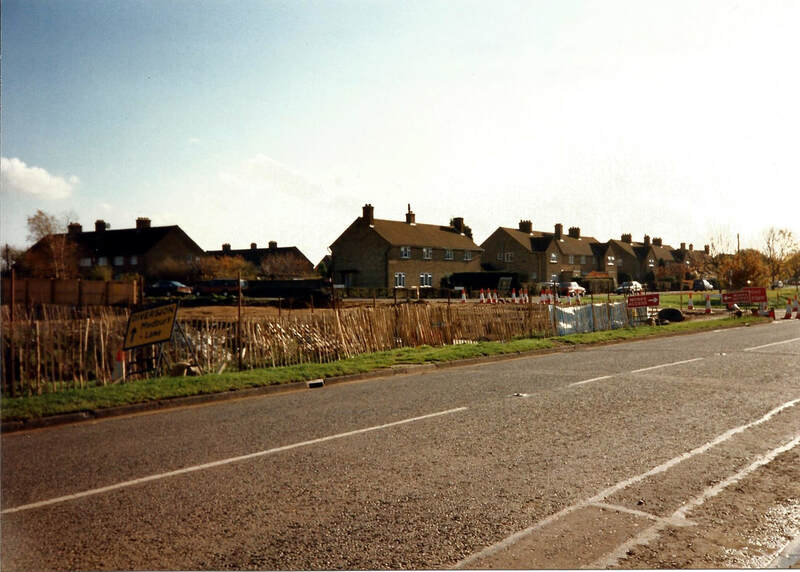 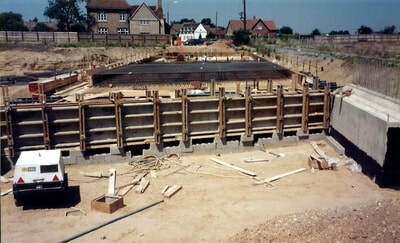 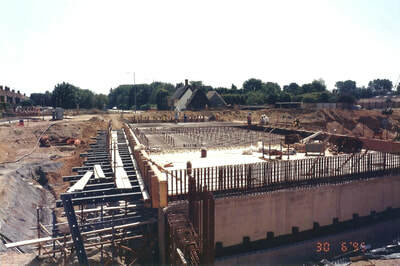 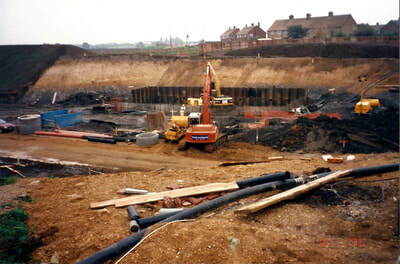 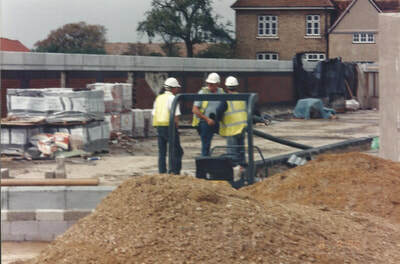 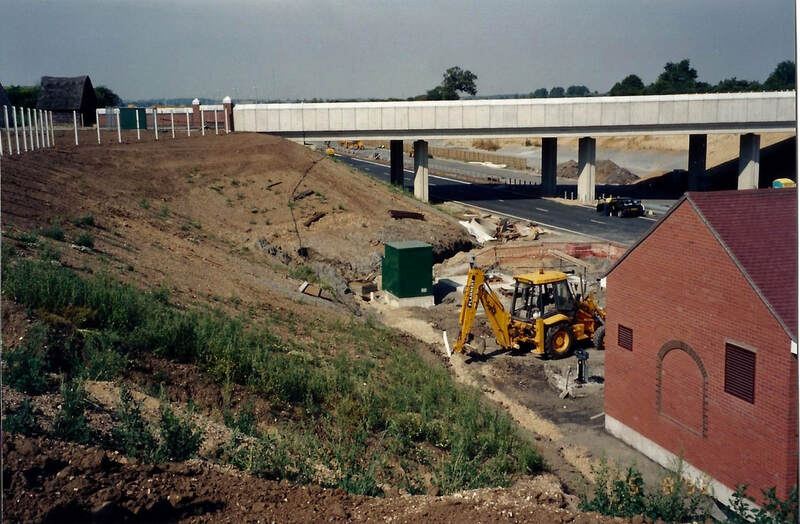 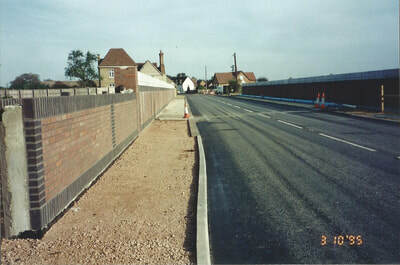 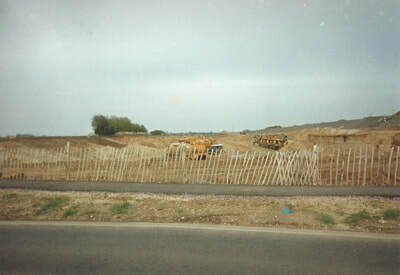 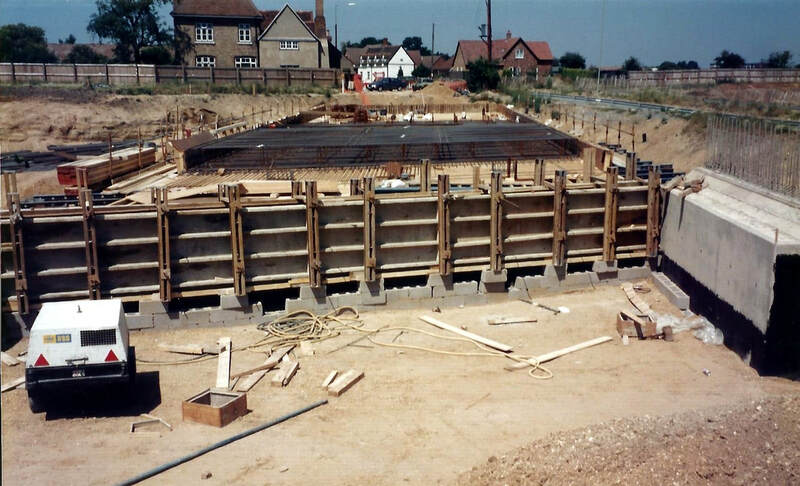 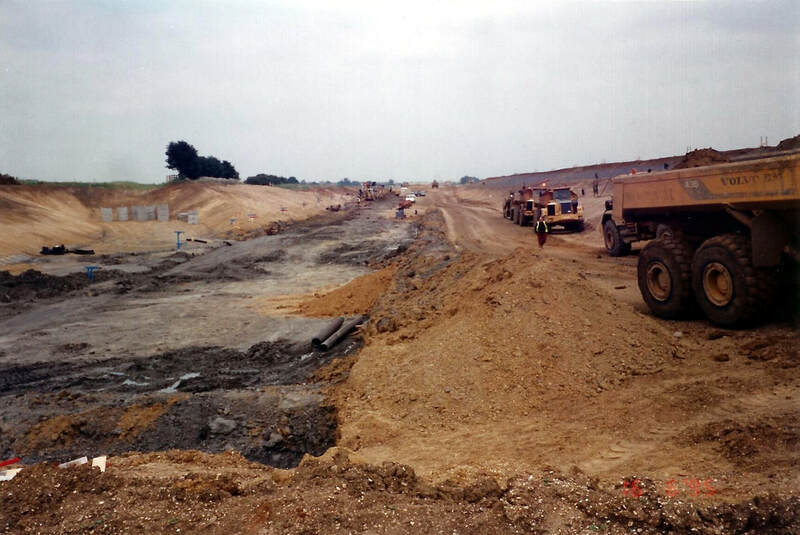 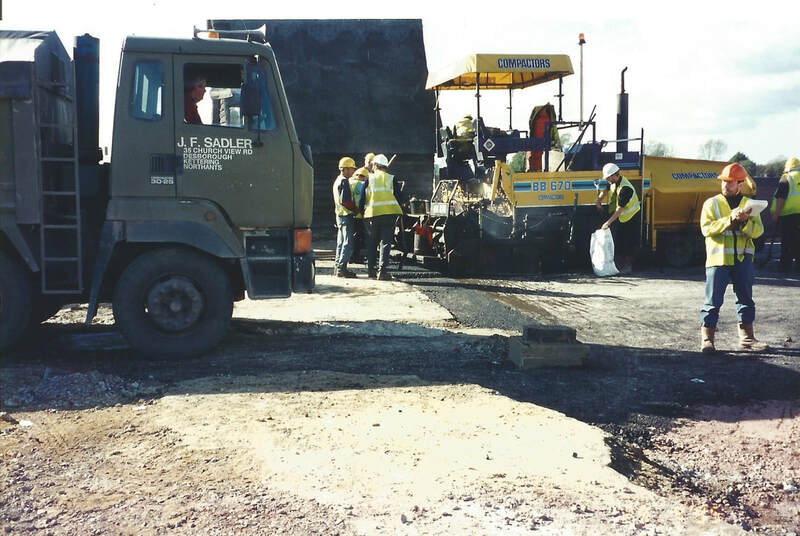 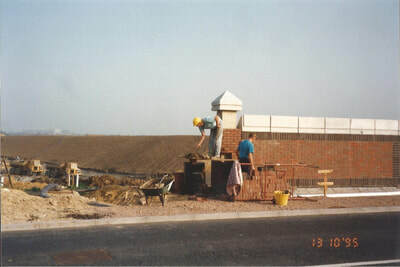 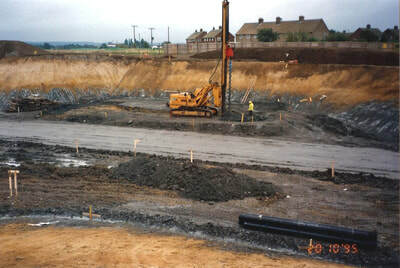 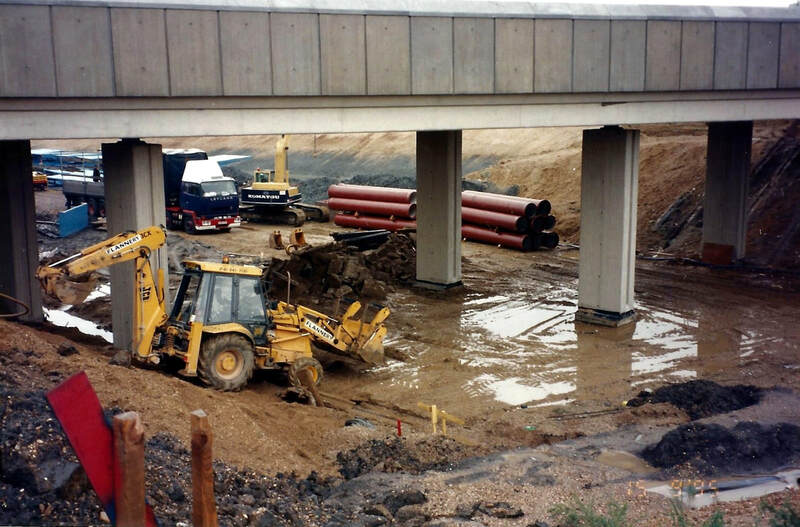 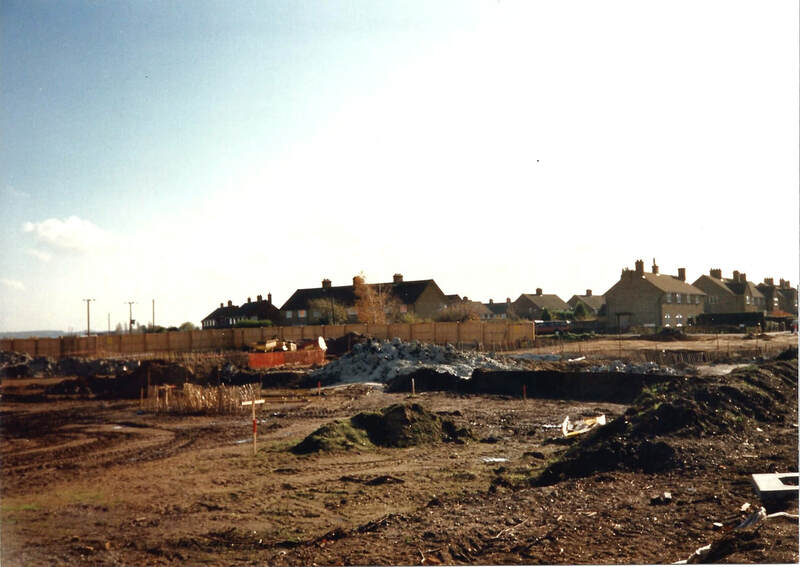 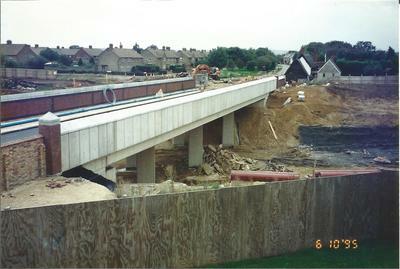 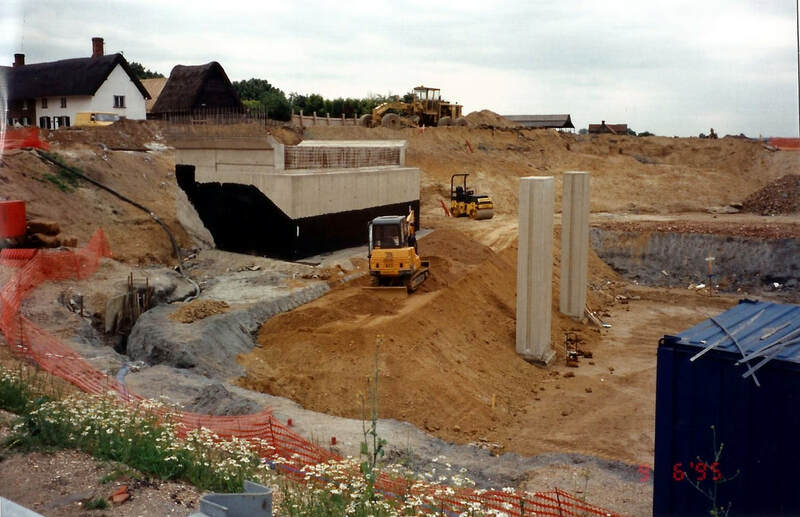 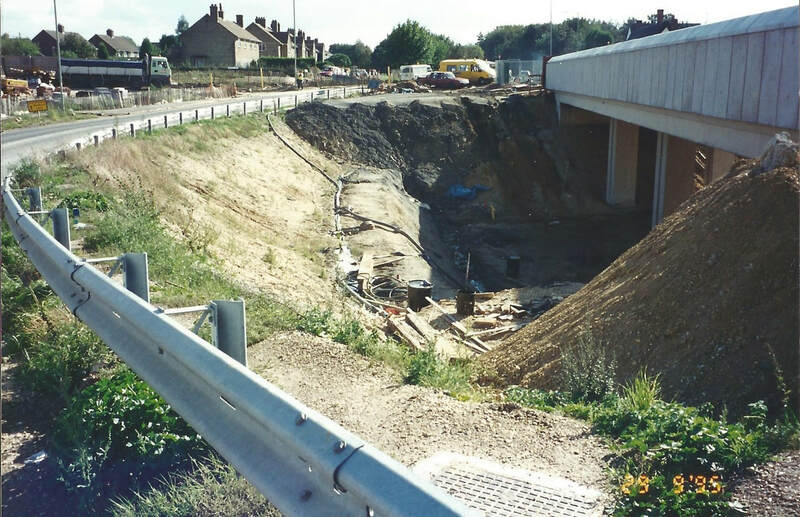 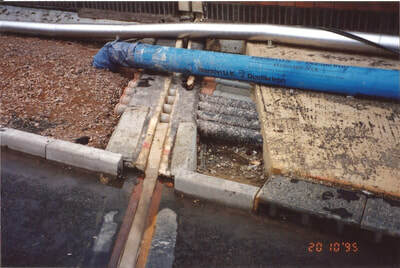 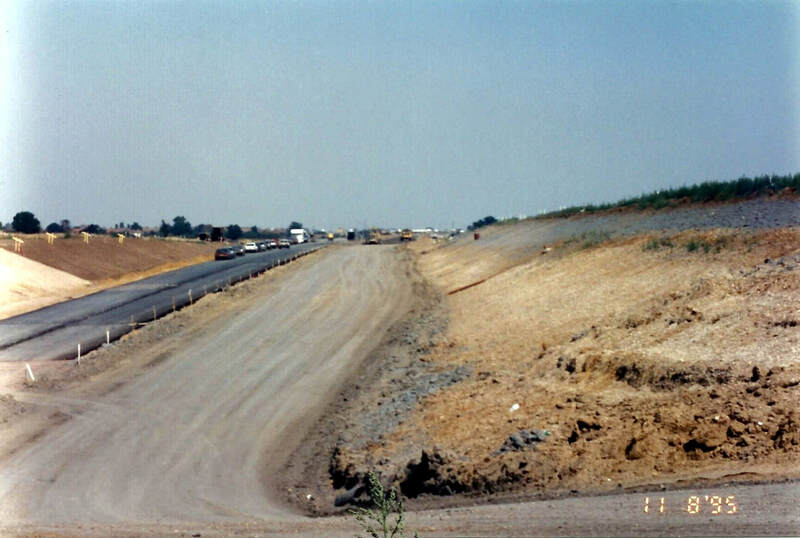 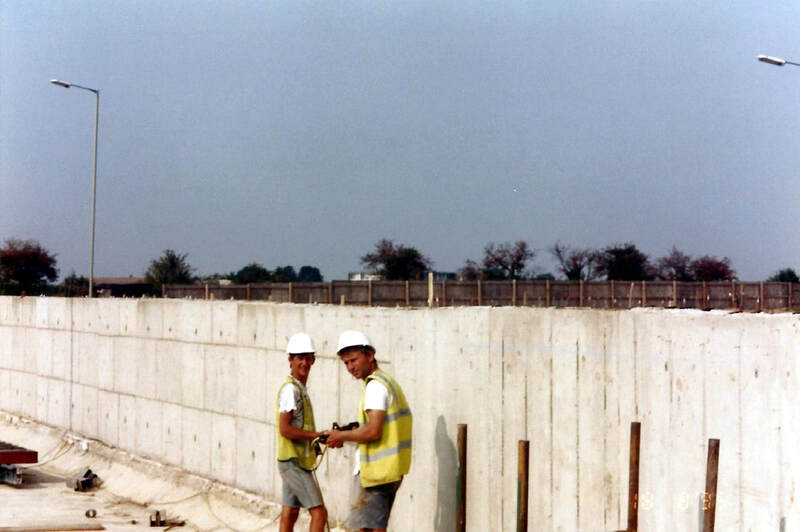 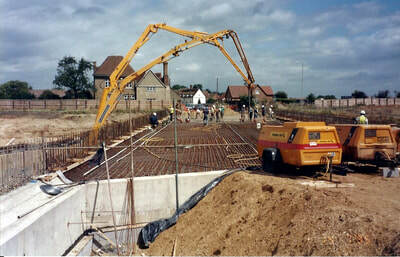 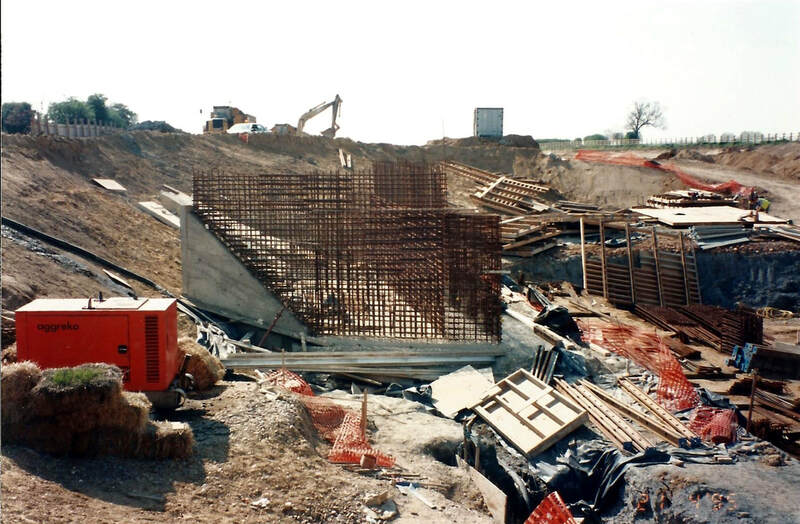 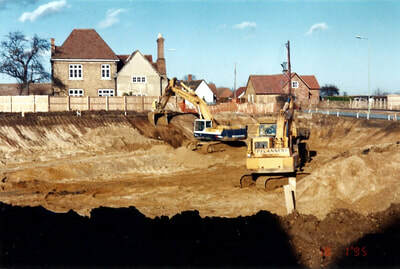 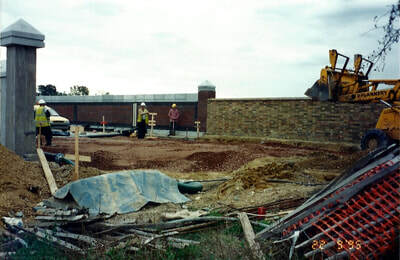 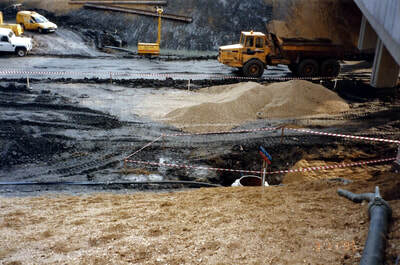 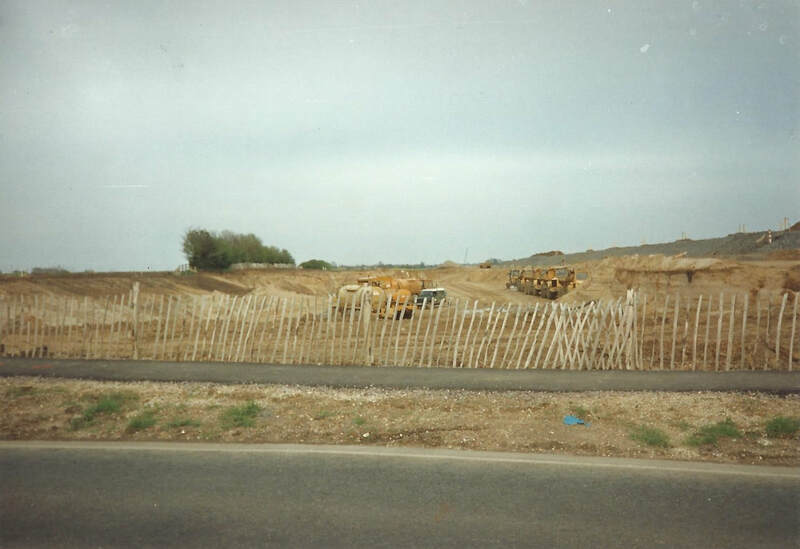 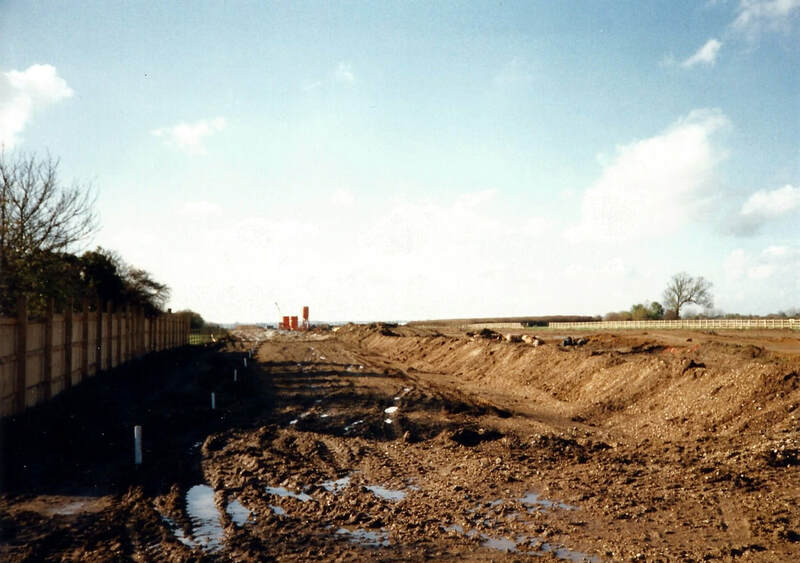 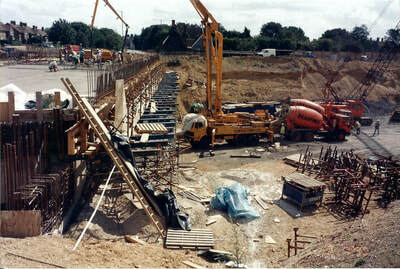 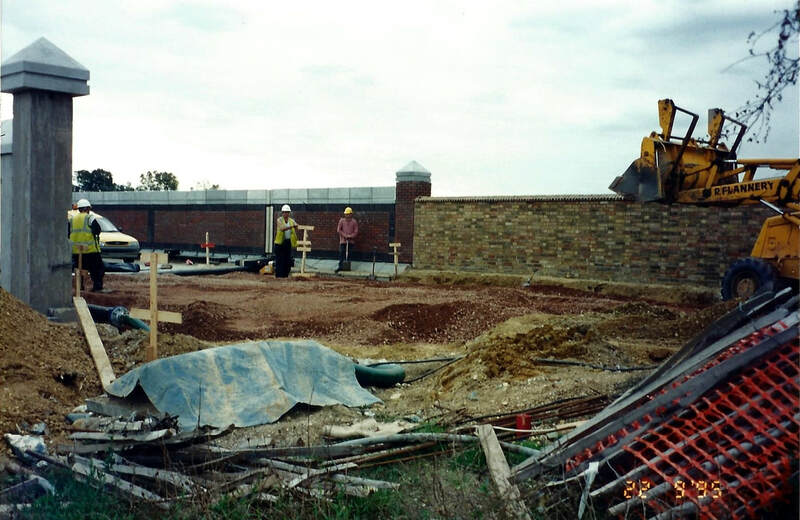 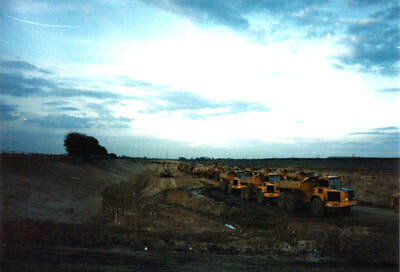 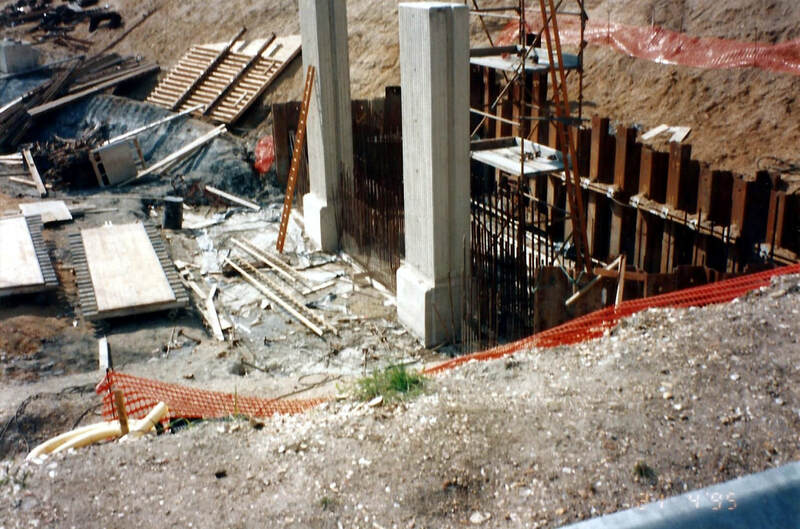 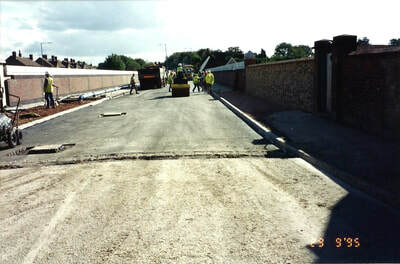 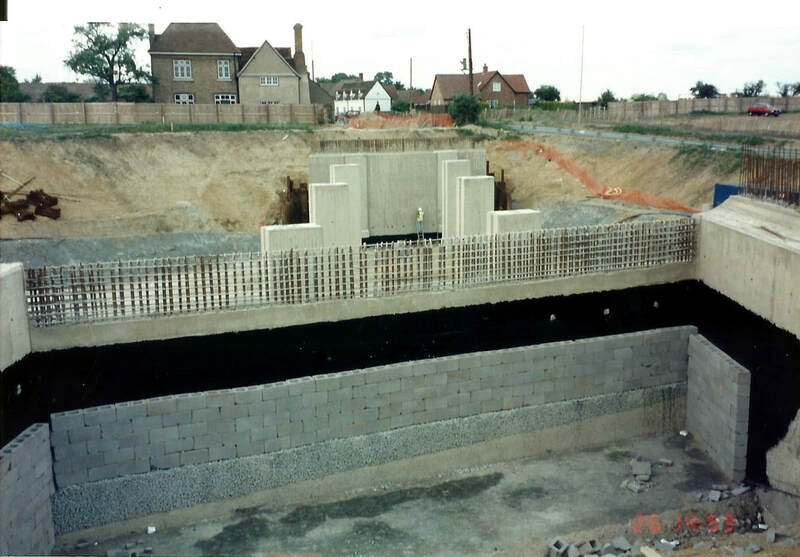 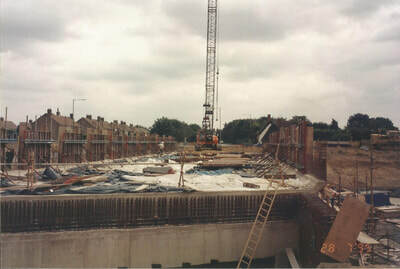 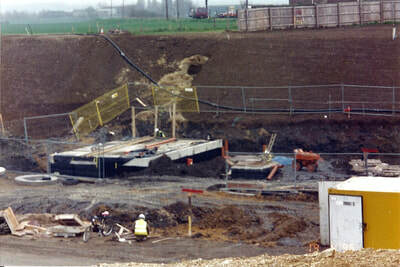 The building of Bedford's southern by-pass in 1995/6 was controversial, in that it cut Elstow in. The residents would have much preferred it to pass completely to the south of the village. 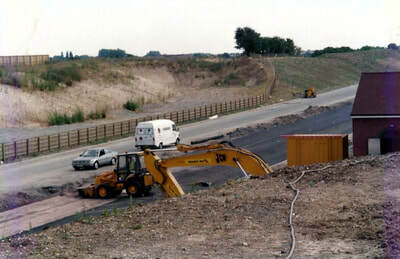 The Highways Agency claimed that the longer southern option would cost more to build. 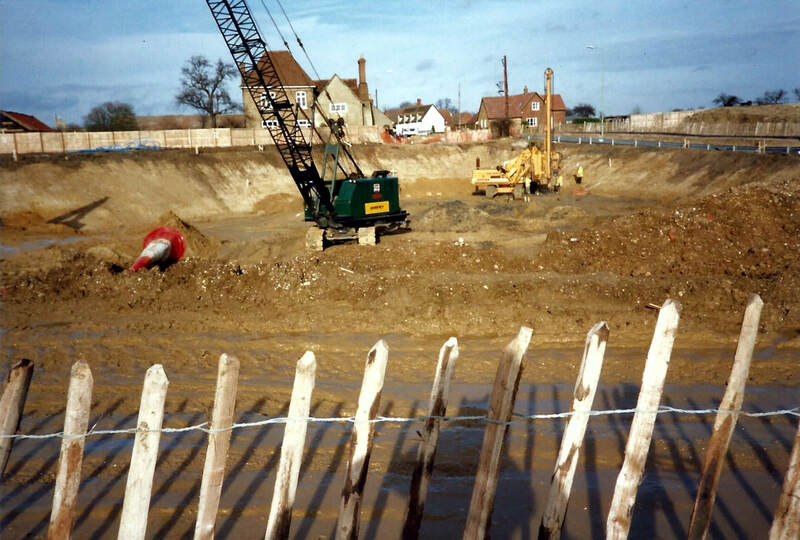 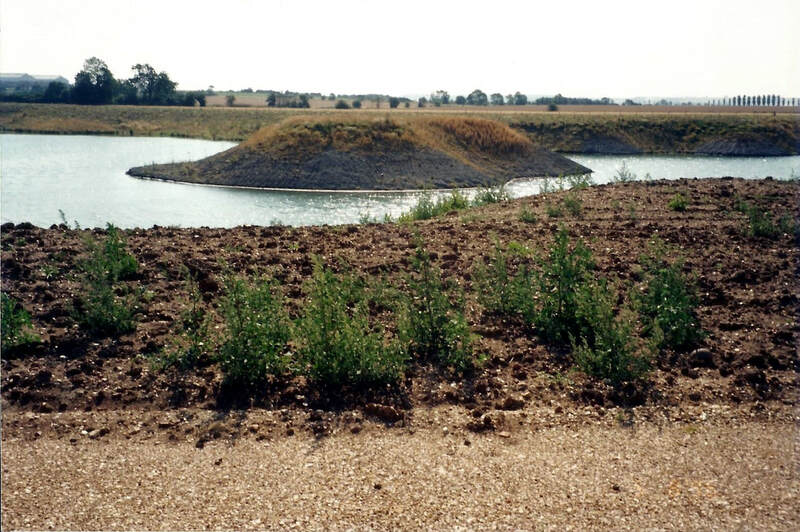 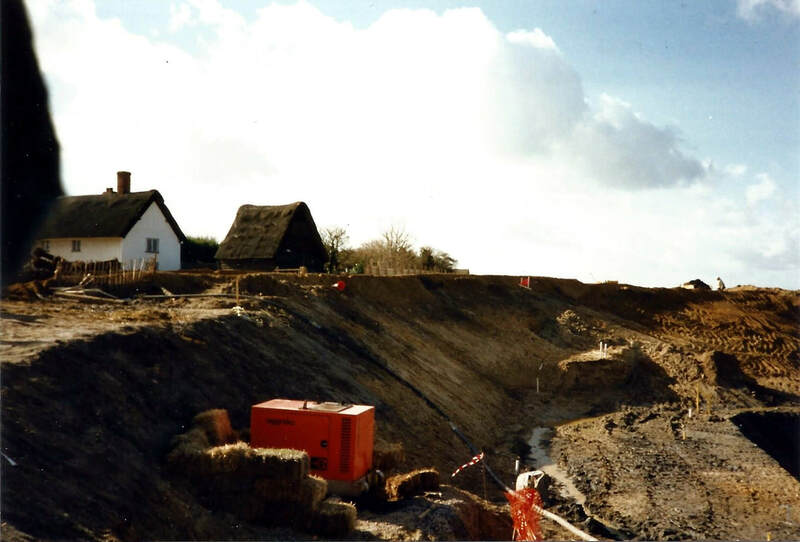 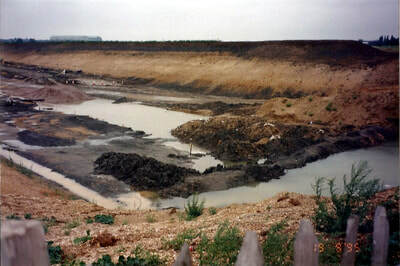 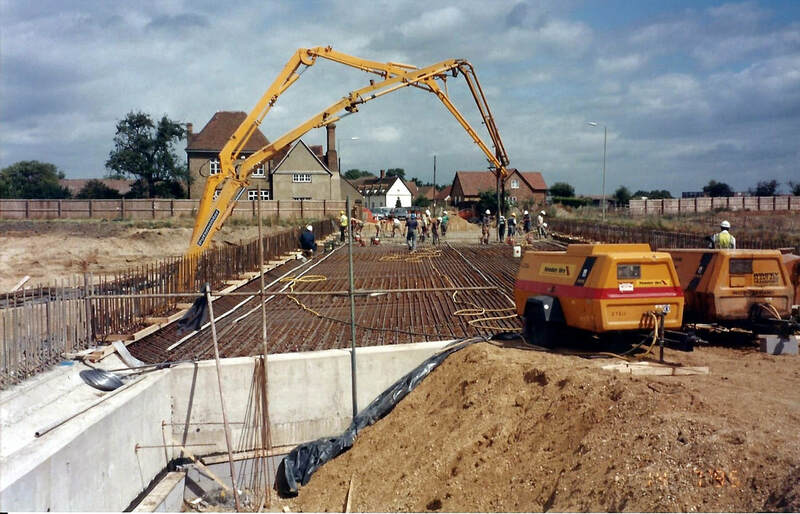 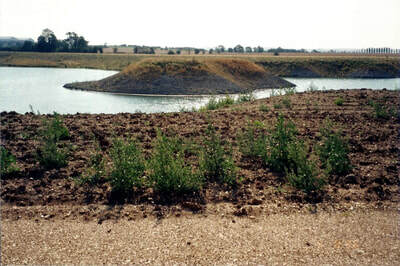 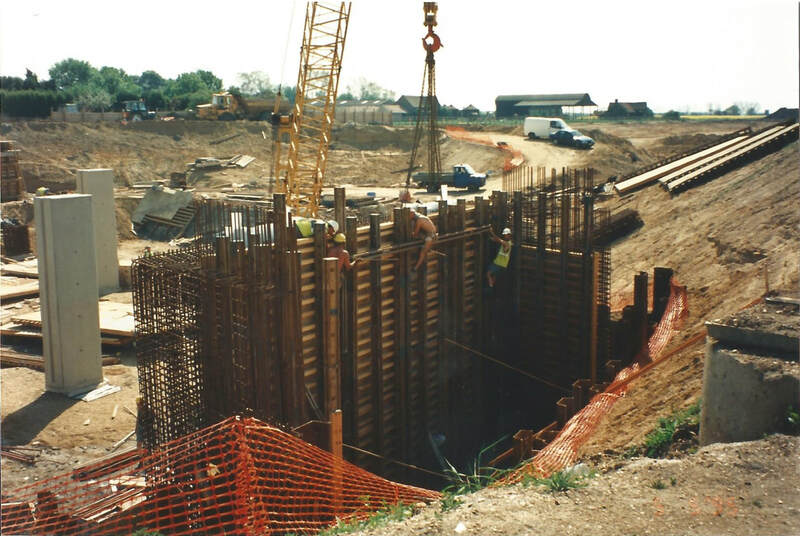 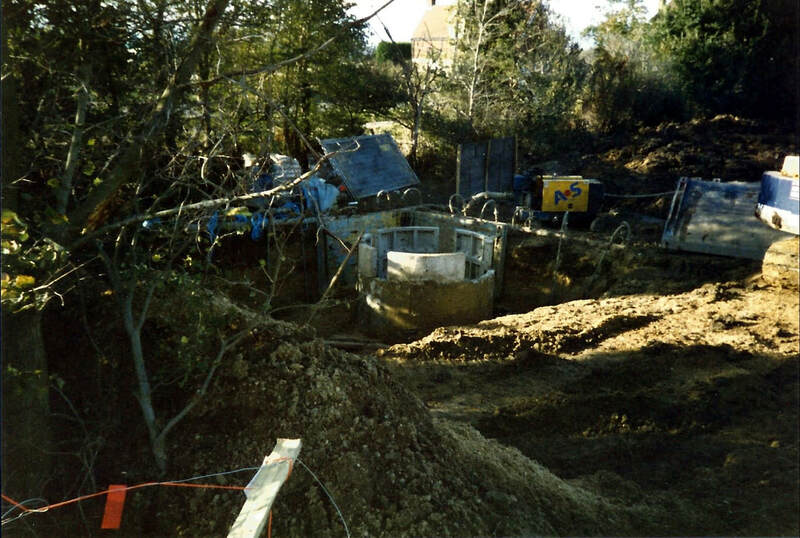 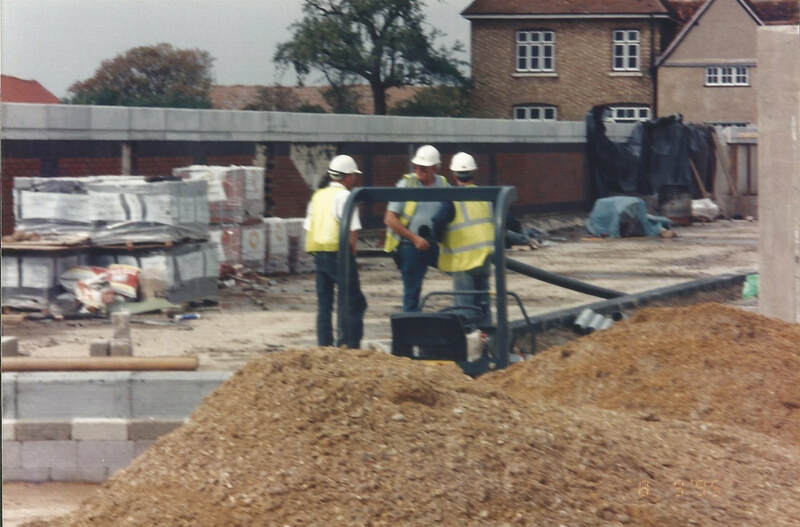 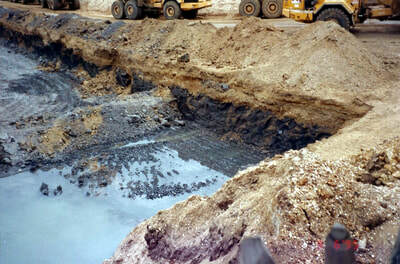 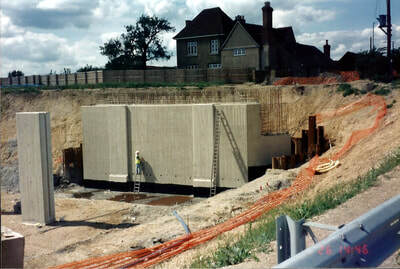 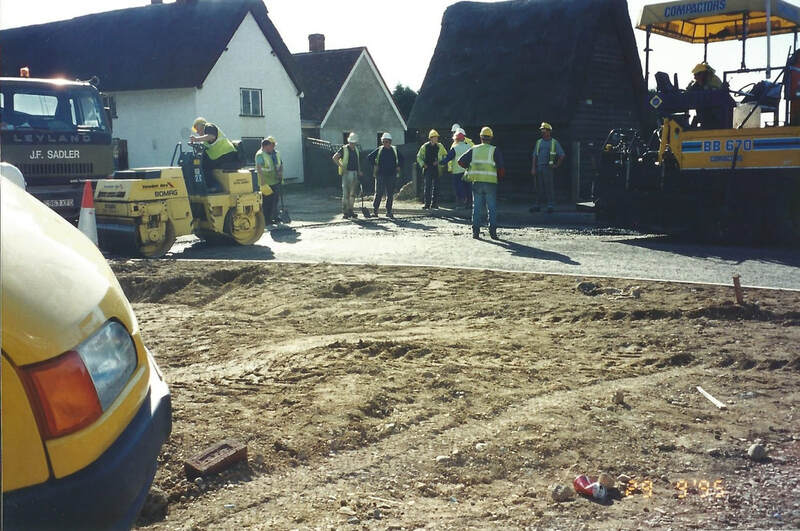 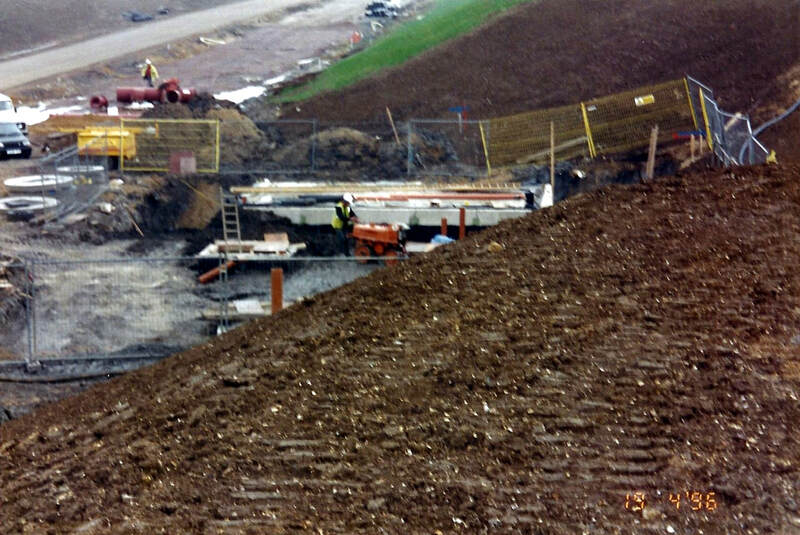 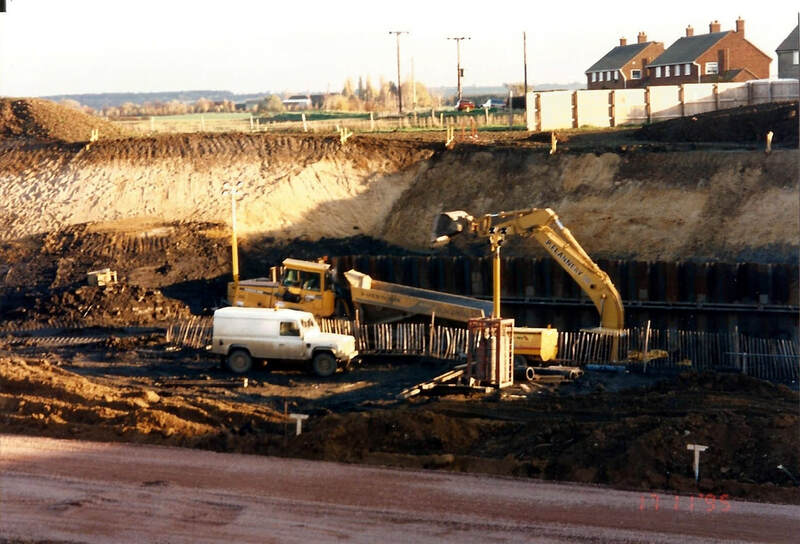 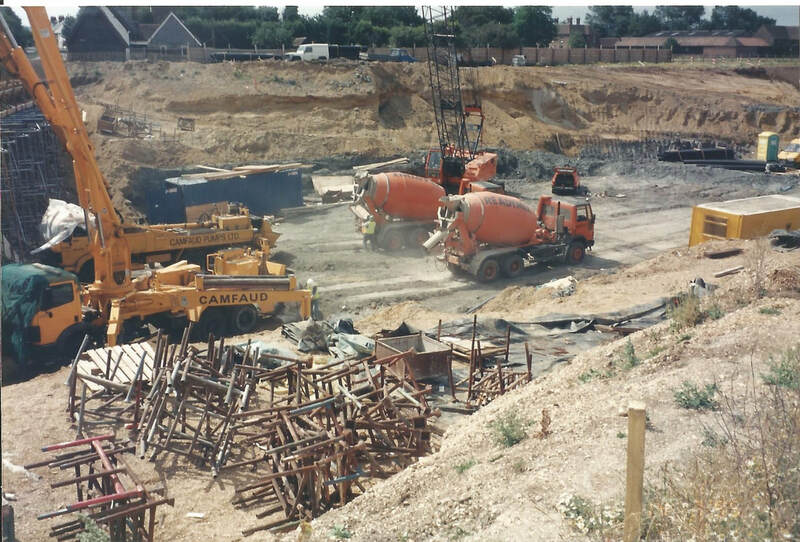 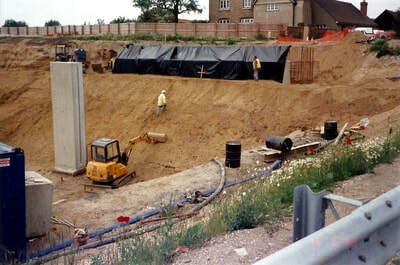 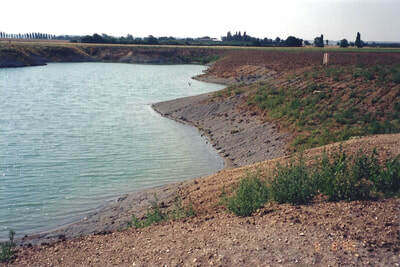 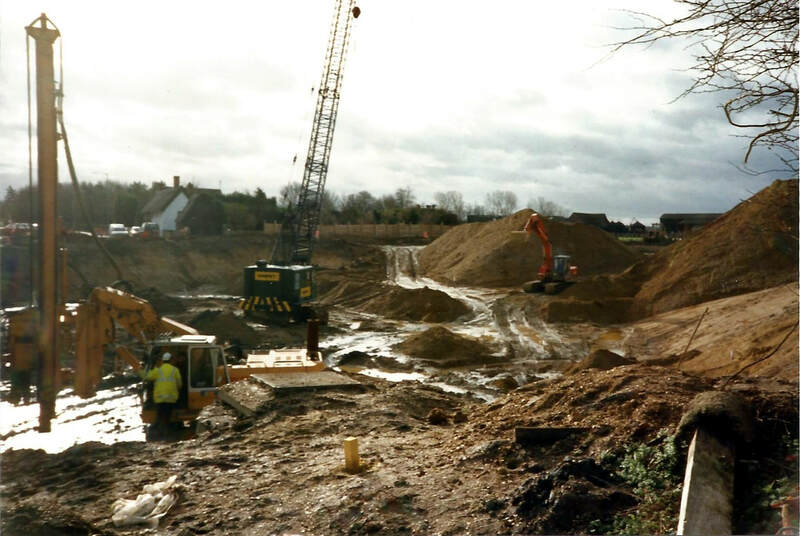 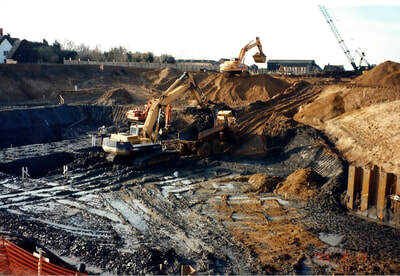 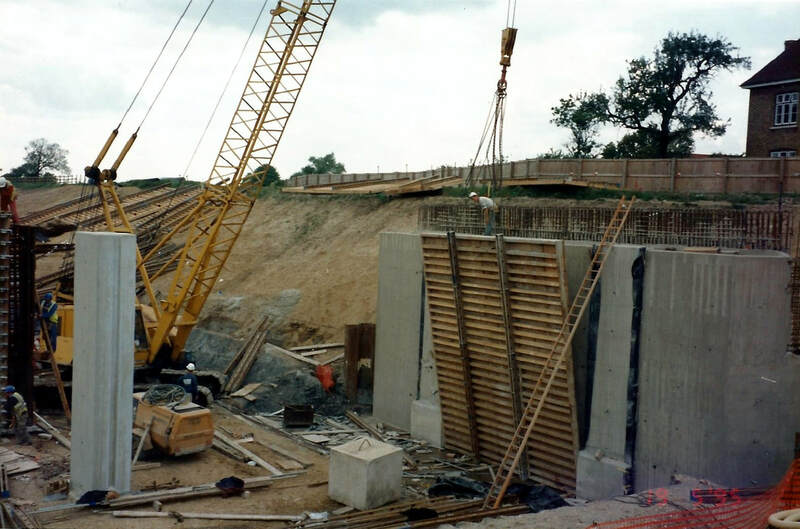 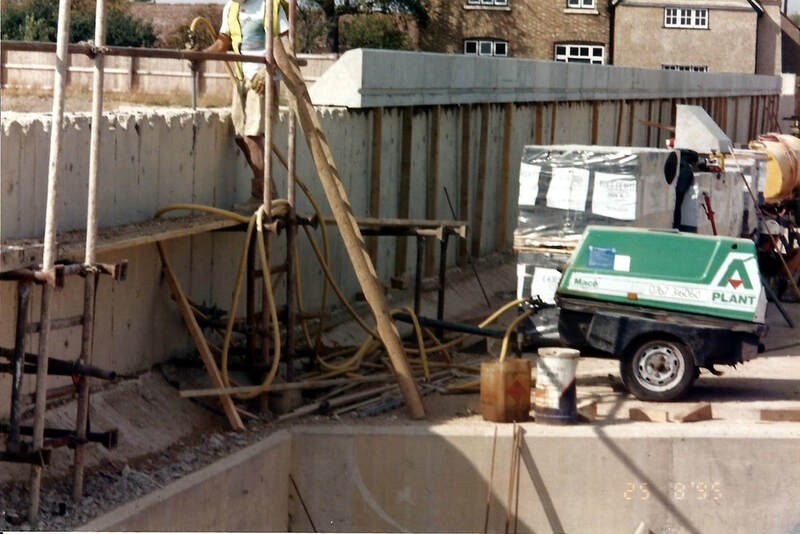 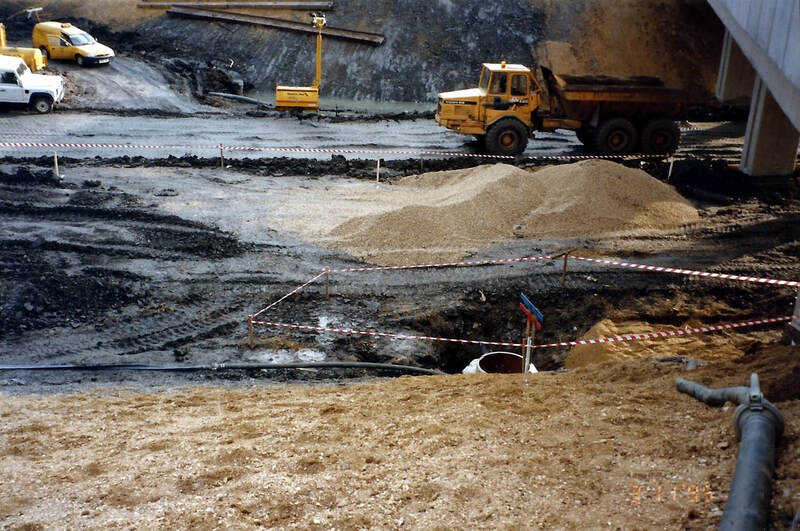 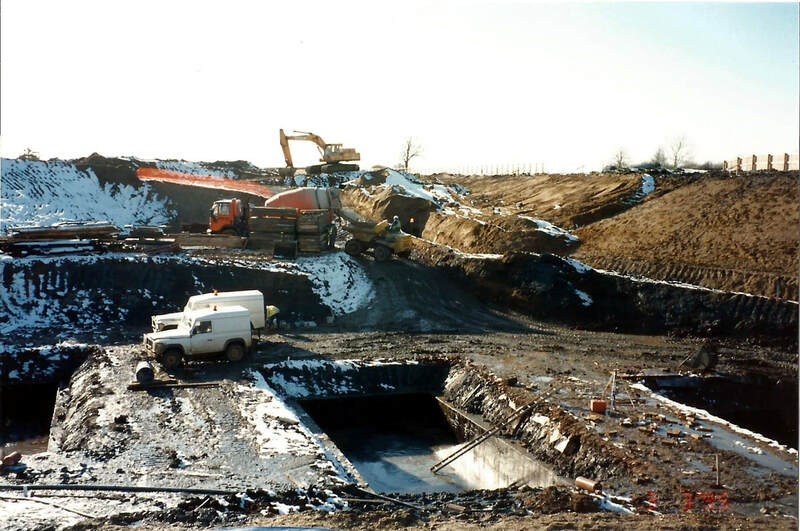 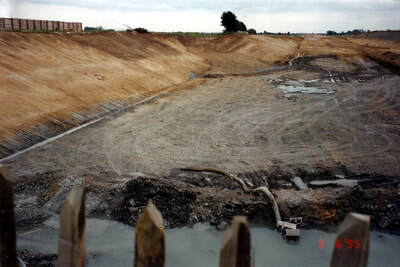 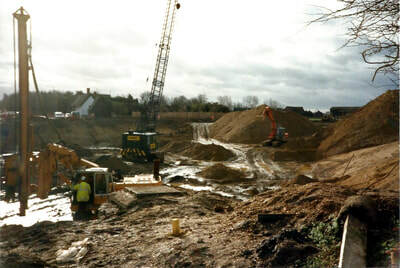 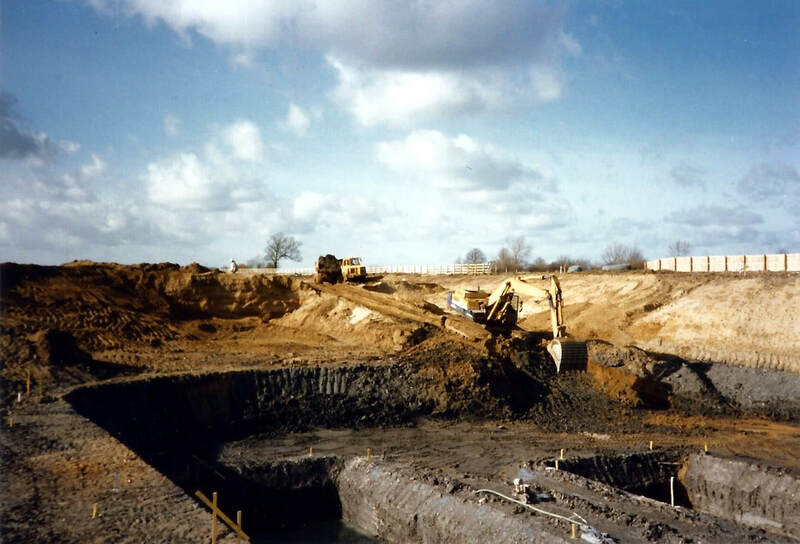 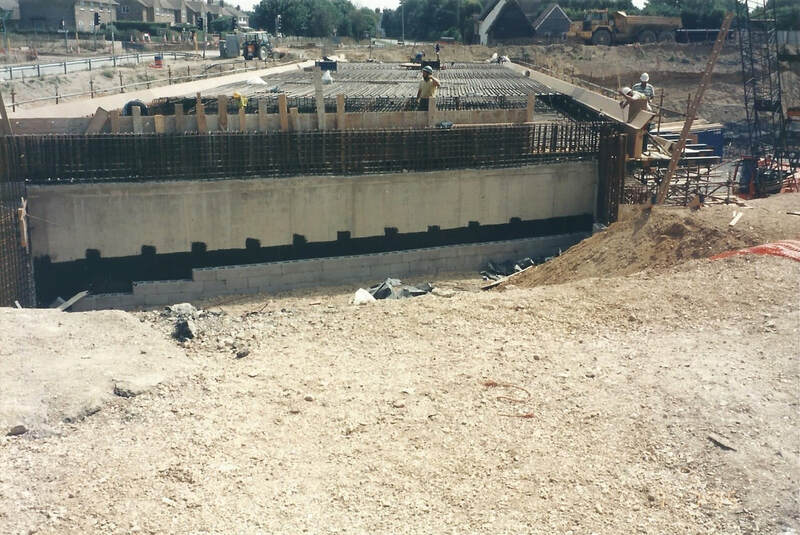 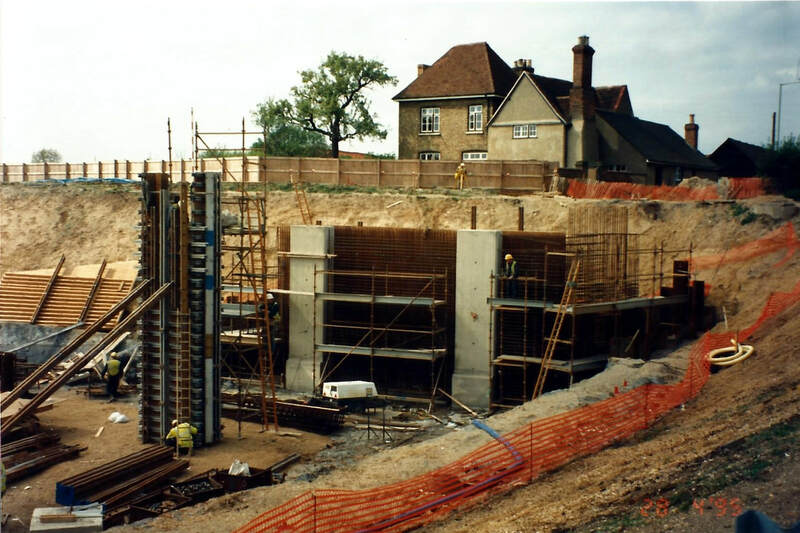 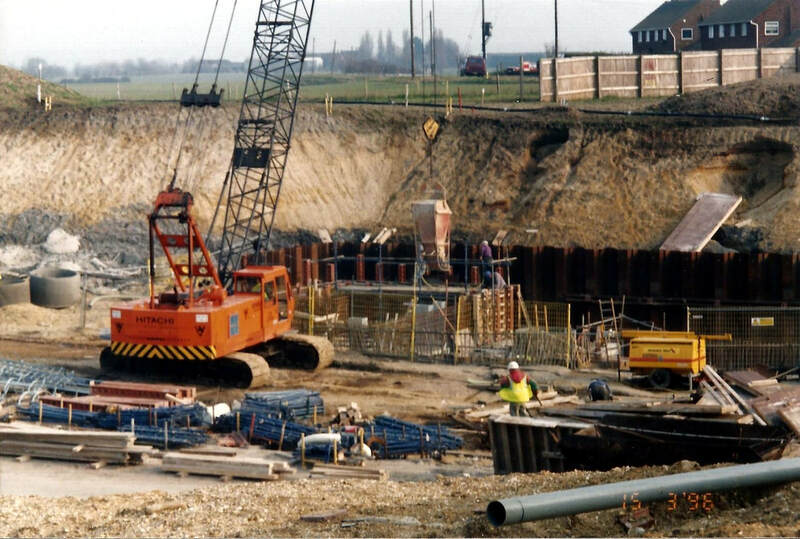 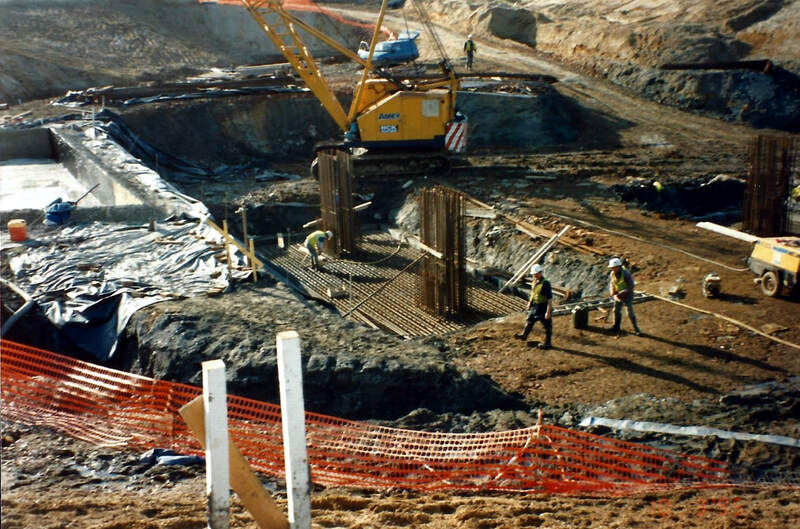 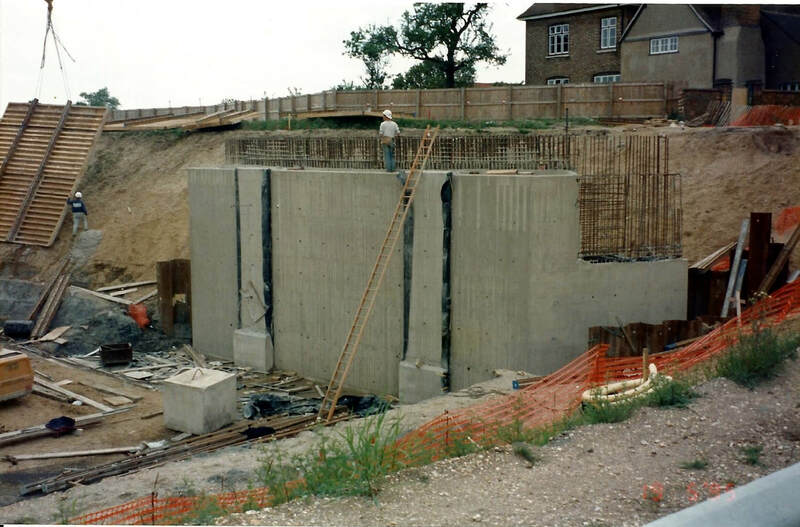 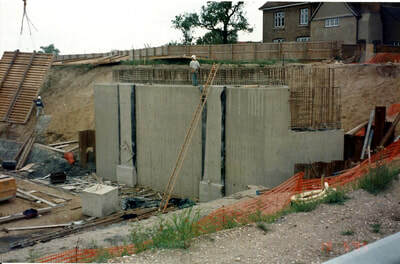 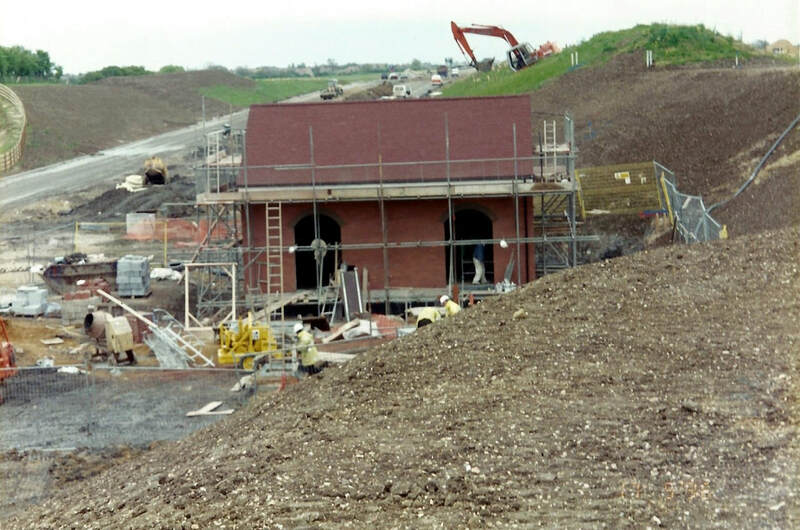 Their option, however, entailed gouging a deep cutting, building a bridge for Wilstead road to cross the bypass and then constructing a very substantial pumping station in the cutting, to extract the huge amounts of water that we warned them was just below ground level. There was one a positive effect for the village, in that it diverted the east-west through traffic away from West End and Progress Way. But, as you can see from the very first photo, the by-pass doomed the residents of Lynn Farm to living on the edge of a very noisy cliff! 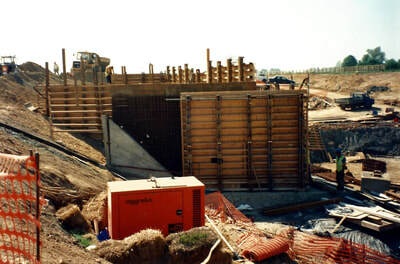 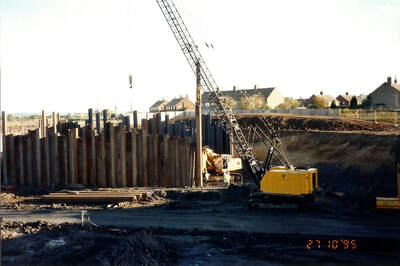 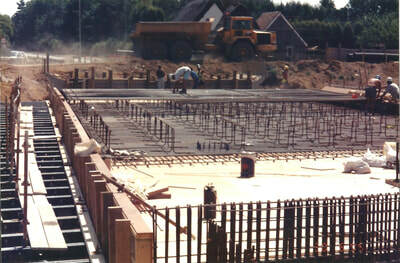 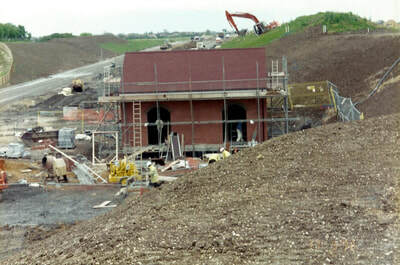 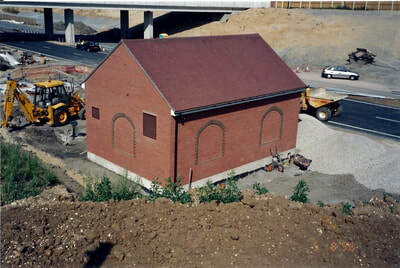 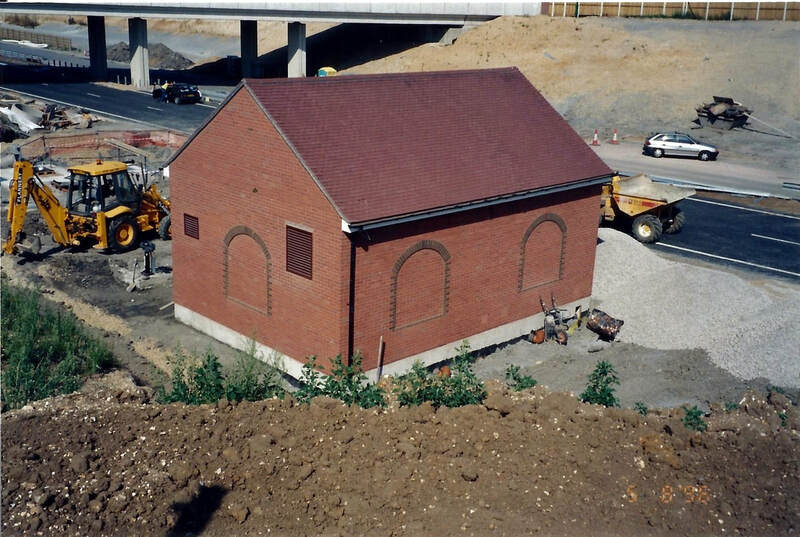 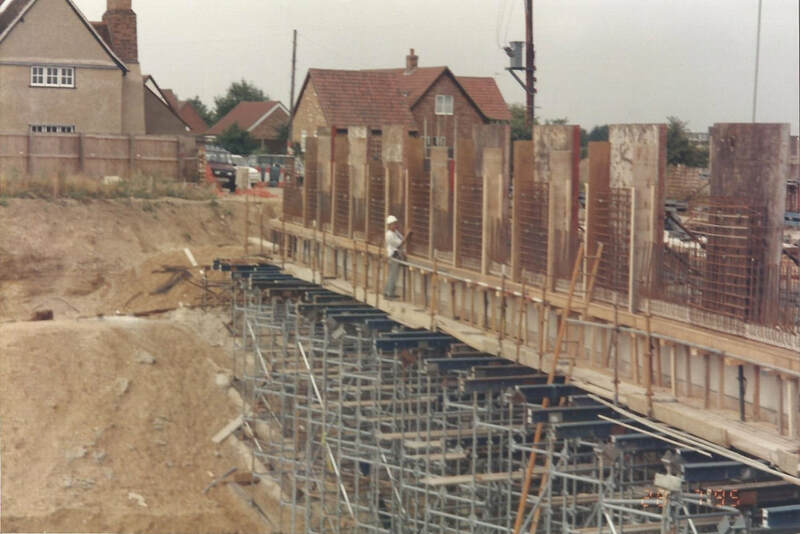 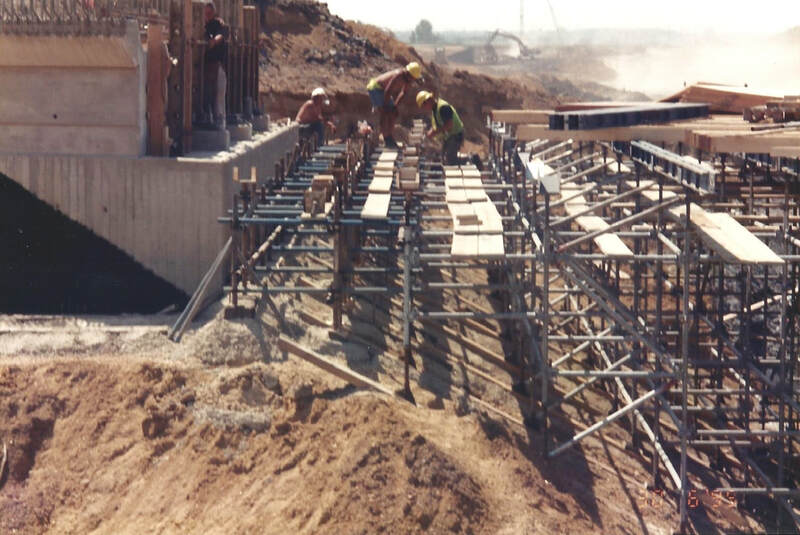 Elstow residents Brian and Sandra King took many photos throughout the construction, detailing the building of the bridge, the pumping station and the road itself. This album contains a selection of their album of several hundred pictures and provides a fascinating record of this huge engineering project. 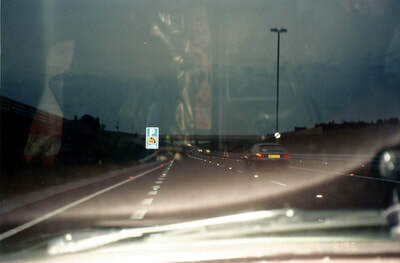 Most of their pictures have a date stamp in the bottom-right corner of the image. 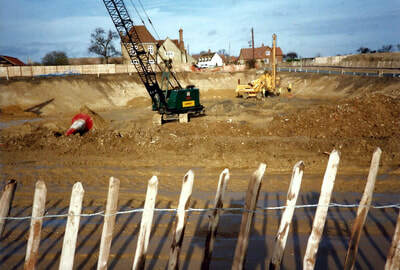 This album also includes photos from another Elstow resident, Paul Kemp. ​Many thanks to Brian, Sandra and Paul.